Each winter I go completely overboard and cook a bizarre amount of food in the span of 2-3 days for the Folger Recycled Arts and Crafts Annual Show (FRACAS). 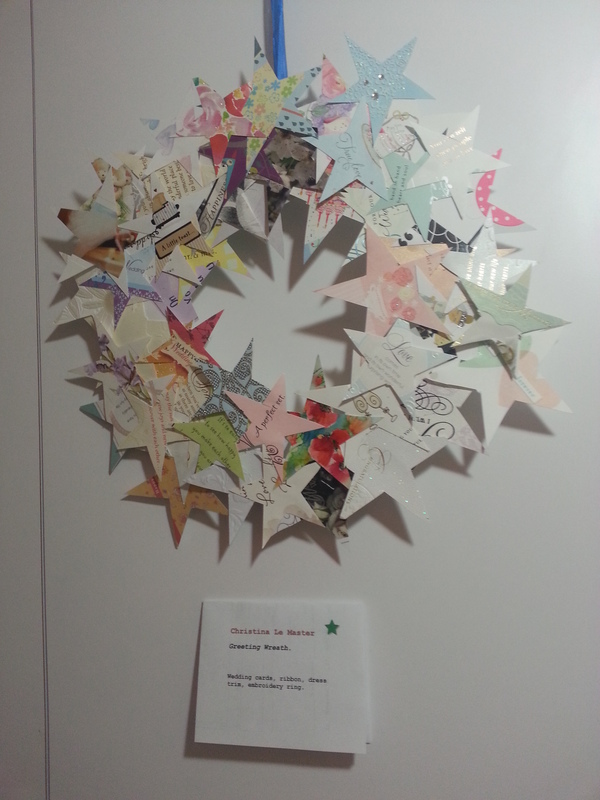 The Green Committee holds the event each December and displays creative art pieces made from recycled objects by Folger employees, family, and friends. After I’m home from the first ingredient run, I have a brief “you are out of your mind” moment, get that five minute panic out of the way, and then move forward. Once prep lists are made and I’ve worked out what needs to be done when / how things should be stored, it’s go time. 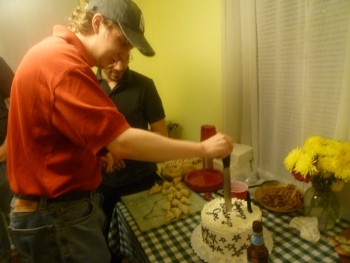 I may not be a trained chef, but I’ve been cooking for groups since I was old enough to reach the counter. 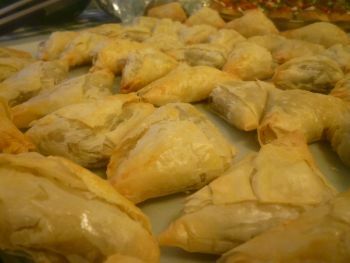 One of the benefits of being the location of choice for most family holidays was / is getting to spend days in the kitchen working on party food with my family. We put on music, everyone picks a task, and sometimes a bottle of wine even starts floating around. Sometimes grandmothers or aunts even appear, ready to help. We’ve been a pizzelle factory, ravioli assembly line, cookie shapers, manicotti fillers and just about everything in between. It’s different to do it alone. 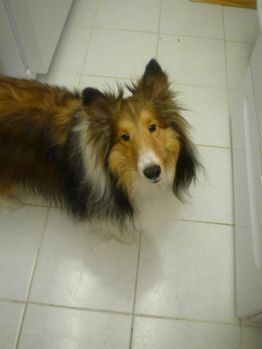 Fortunately, I never feel alone, because when I’m in the kitchen my family is with me whether they’re physically there or not. There may be several less pairs of hands, but all of their experience sticks right with me. So when this once-a-year madness comes around I go at it with everything I’ve got. 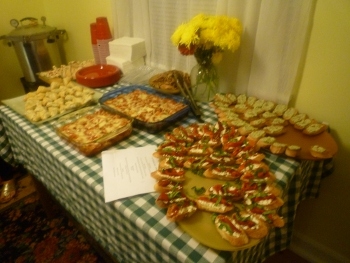 This year, the FRACAS tasting plates were primarily influenced by dishes from France and the Mediterranean. I was inspired by the spirit of our Green Committee to think about being a responsible steward of the earth and used each ingredient in as many ways as possible. 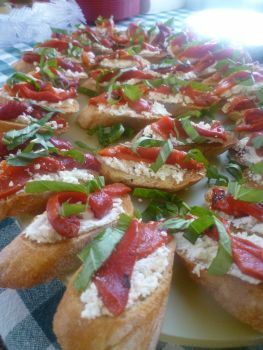 I also considered the sustainability and seasonality of what was planned and consulted with friends from the local Arlington County Farmer’s Market in order to prepare a thoughtful, respectful group of dishes. My most sincere thanks go to those purveyors for making available the many local herbs, meats, vegetables, and preserved foods (i.e. dried cherries and strawberry jam). Special thanks to the fine folks at Smith Meadows, Cibola Farms, Toigo Orchards, and Twin Springs. 8 oz. wild salmon filet, bones removed. 2 tbsp. fresh chives, chopped. 4 oz. 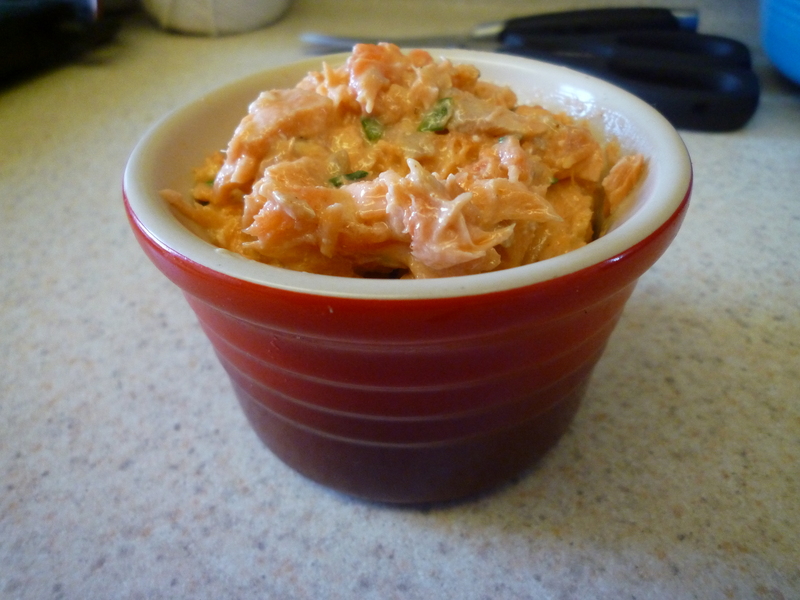 of smoked salmon, cut into thin strips and then diced. Season the fresh salmon lightly with salt and steam for 8 minutes or until cooked through. Set aside to cool. In a medium-sized bowl, mash together the olive oil and butter until very smooth and then stir in the lemon juice, chives, and smoked salmon. 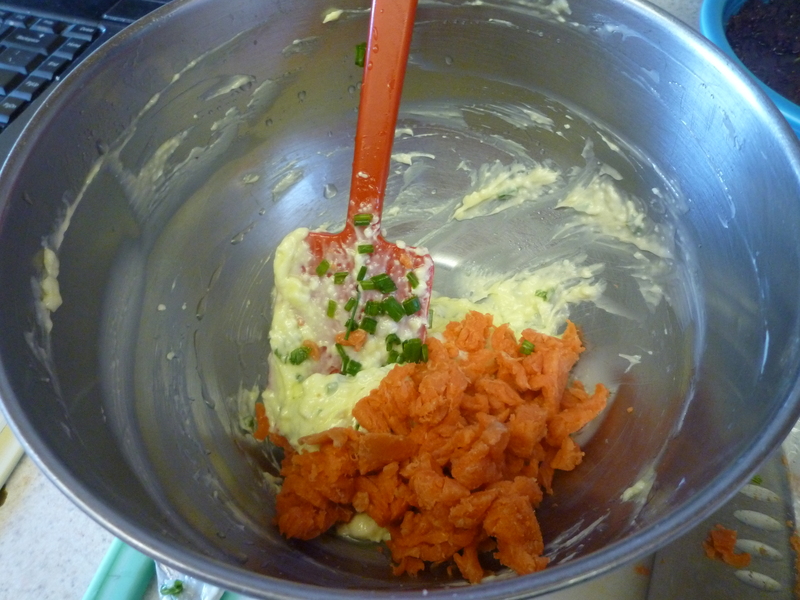 Remove the skin and flake the cooked, fresh salmon over the top of the mixture then fold it in gently until well combined. Season with chili powder and salt if needed. My smoked salmon was quite salty and so I did not add any extra salt. Cover and chill for at least two hours. Allow the rillettes to come to room temperature before serving them. They will stay fresh covered in the refrigerator for up to three days or tightly wrapped in the freezer for up to two months. 1 leek, thoroughly washed and split lengthwise, leaving one inch intact at the root end. Dice the pork into 1 in. cubes and place in a pot. Cover with water by 2 in., bring to a boil, and drain the pork. Return the pork to the clean pot. Stuff the thyme and bay leaves into the split leek. 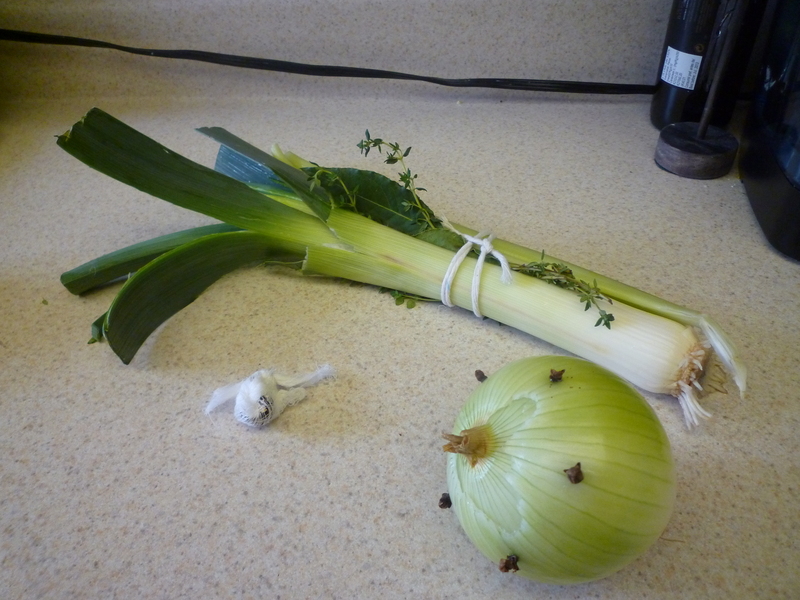 Take the celery stalk and put it alongside the leek, then tie everything together with a piece of cotton twine. This is called a bouquet garni. Stud the onion with the cloves. Add 2 qts. of water or stock to the pot with the pork in it, add the bouquet garni and clove studded onion, then bring to a simmer over medium heat. Cover the pot and place it in the oven. 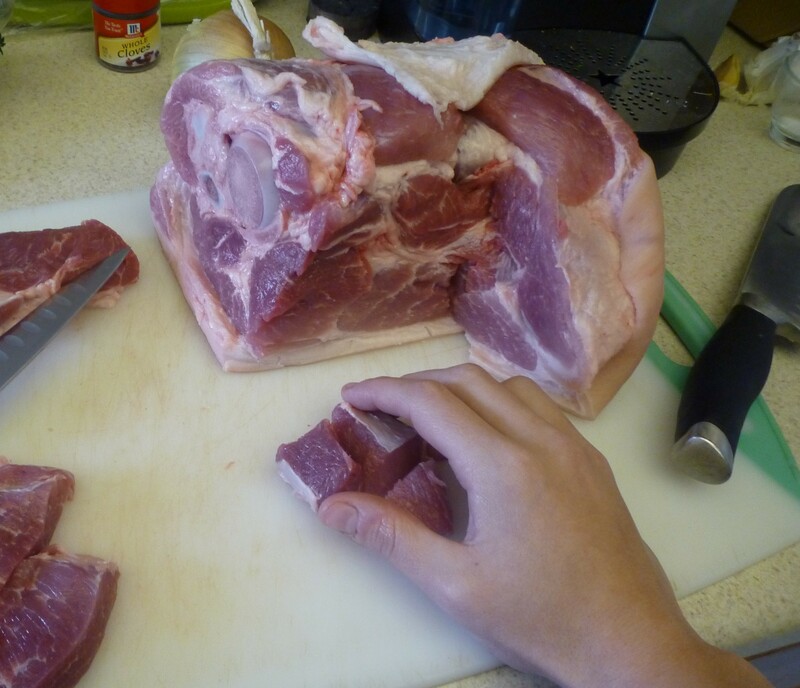 Cook until the pork is very tender and falls apart when poked with a fork. Remove the pork from the cooking pot and transfer it to a plate to cool. 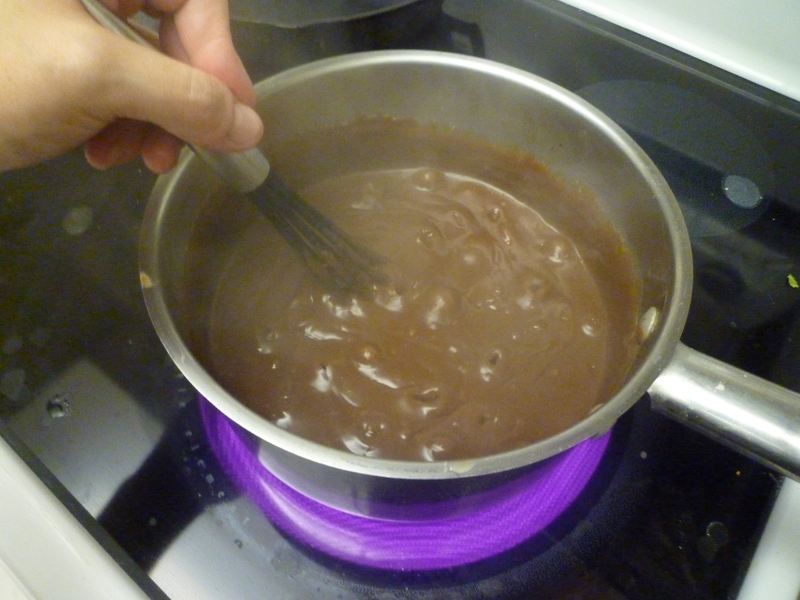 Strain the cooking liquid into a bowl and set aside. 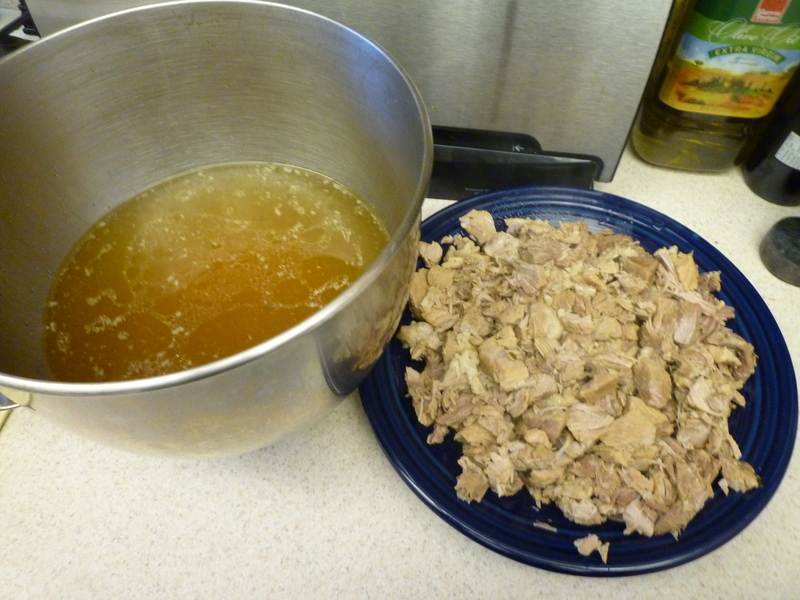 Once the pork has cooled to slightly above room temperature, put it in a mixing bowl and mix on low speed, adding reserved cooking liquid as needed until it is a smooth, spreadable consistency. Season with salt and black pepper to taste. 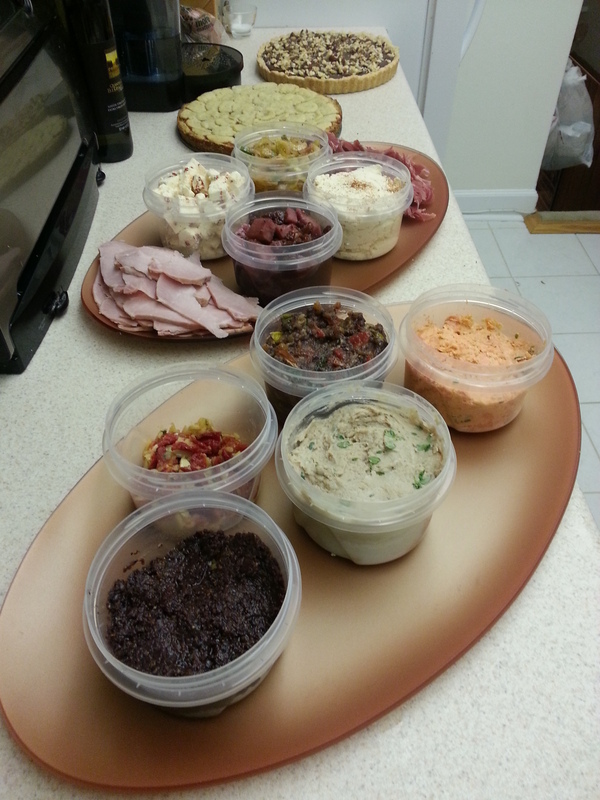 Put the spread into individual containers and refrigerate until chilled. Melt the lard over low heat and then pour a 1/8 in. layer of it on top of each container of rillettes. This seals the containers and keeps the rillettes fresh. 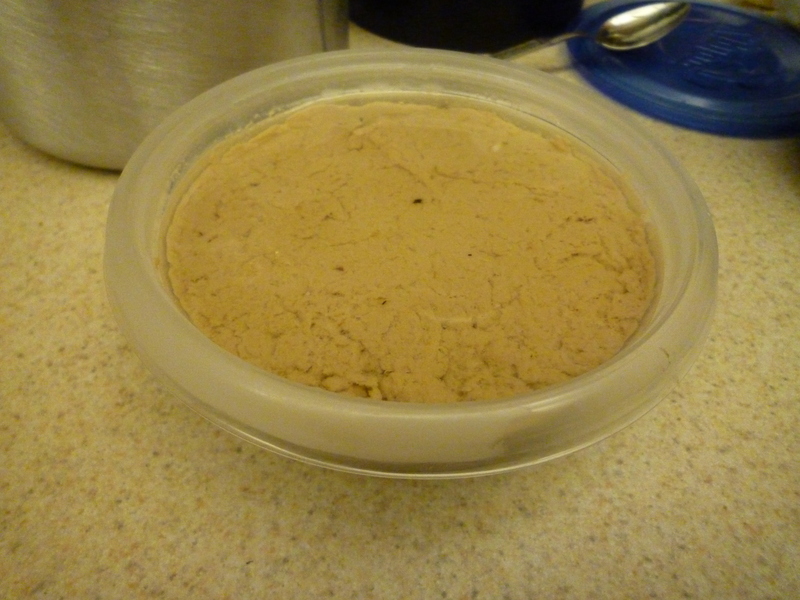 Put the rillettes back into the refrigerator and chill until the layer of fat has solidified. 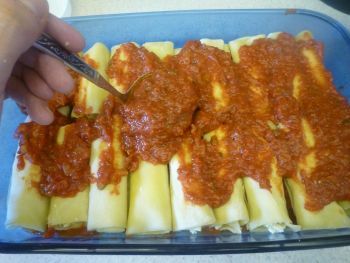 Remove from the refrigerator two hours before serving. 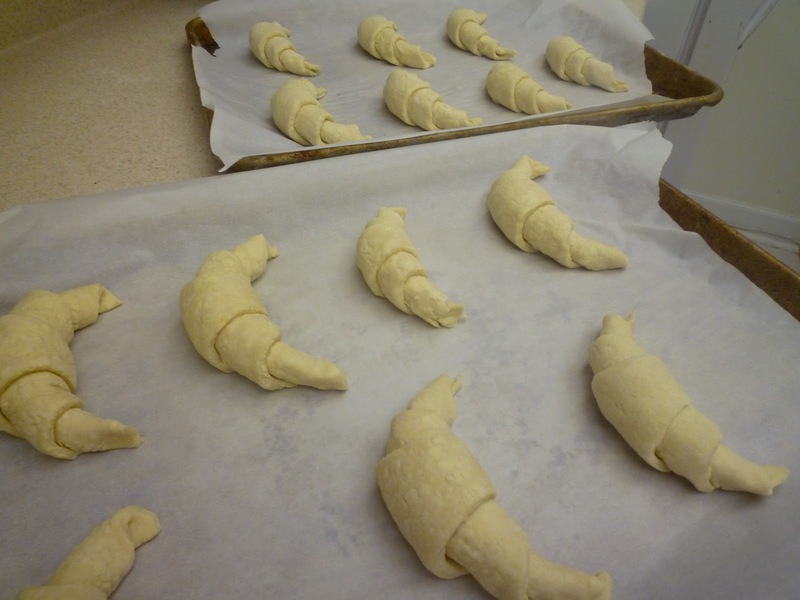 Covered, they will keep in the refrigerator for up to a week and in the freezer for up to a month. 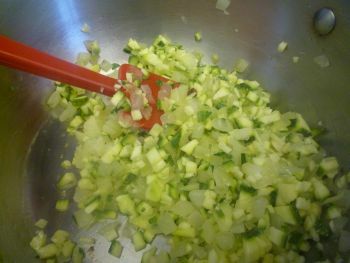 1 zucchini, cut into ½ in. discs. 1 yellow squash, cut into ½ in. discs. 2 medium sized tomatoes, quartered and seeded. 1 cup kalamata olives, pits removed. ¼ cup basil, chiffonade cut. 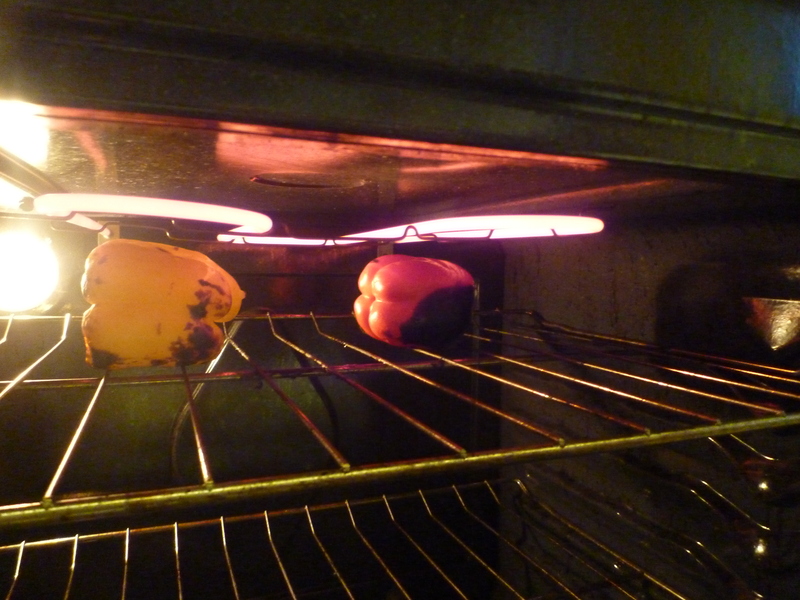 Broil or grill the red and yellow peppers until the skin is black all over. 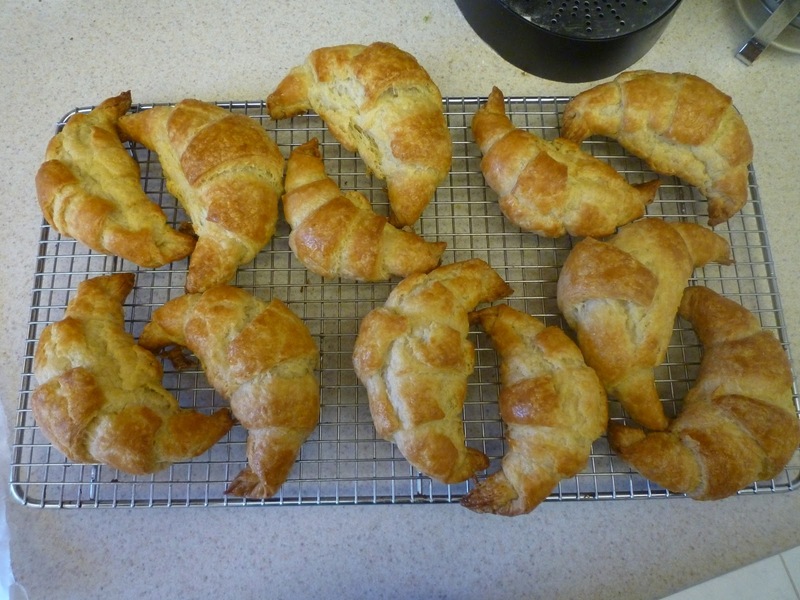 Put them in a bowl, cover with plastic wrap and allow them to cool. Once cool enough to handle, remove the skin, core, and seeds and then ½ in. dice. Preheat the oven to 400 degrees F. Toss the zucchini, yellow squash, mushrooms, and tomatoes with ¼ cup olive oil, spread on a baking sheet and roast for 20 minutes. 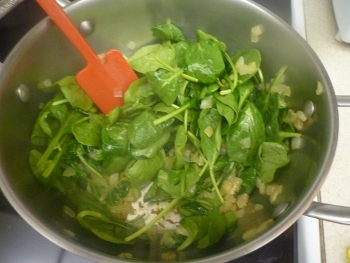 Saute the onion and garlic in 2tbsp. 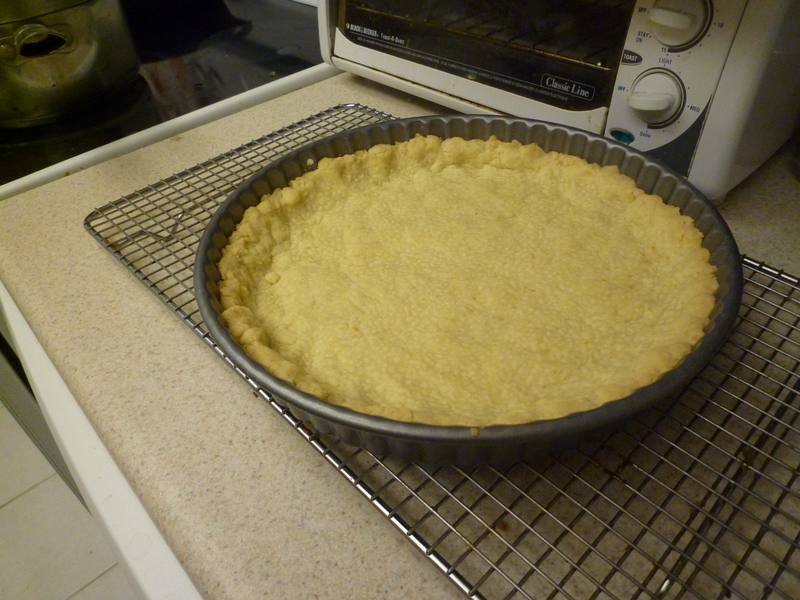 of the olive oil until soft, but not browned and then set aside to cool slightly. Process the olives, garlic, and onions into a puree. 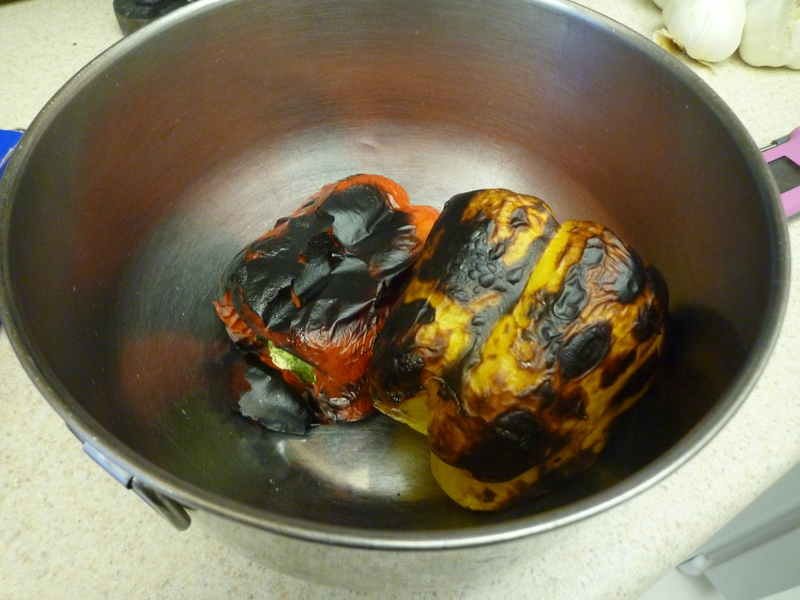 Fold in the balsamic vinegar, roasted vegetables, peppers, and basil. Season to taste. 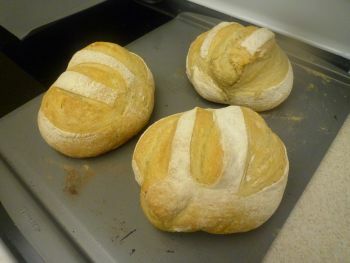 Cover and refrigerate for up to a week. 1 cup nicoise or kalamata olives, rinsed and pitted. 1 small garlic clove, peeled and smashed. 1/2 tablespoon capers, rinsed and patted dry. 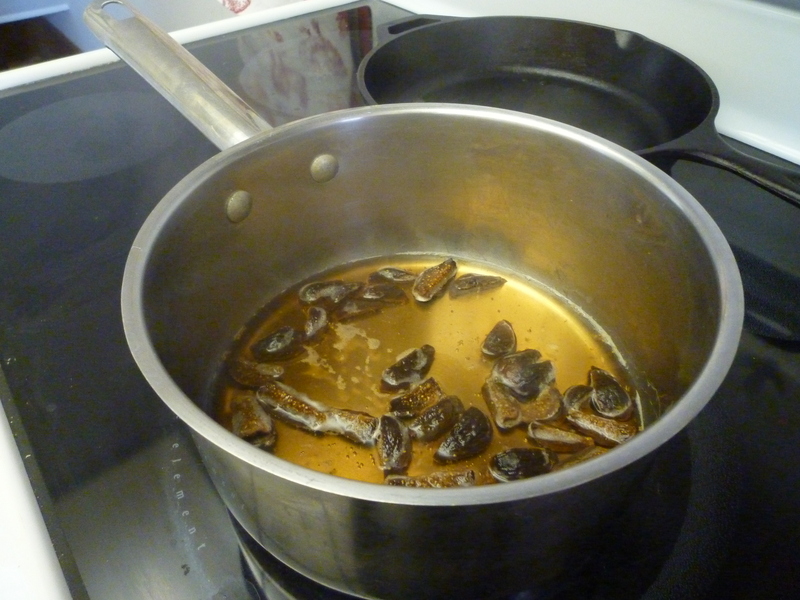 In a medium-sized pot, simmer the figs in the water until they are soft and the cooking liquid becomes syrupy. 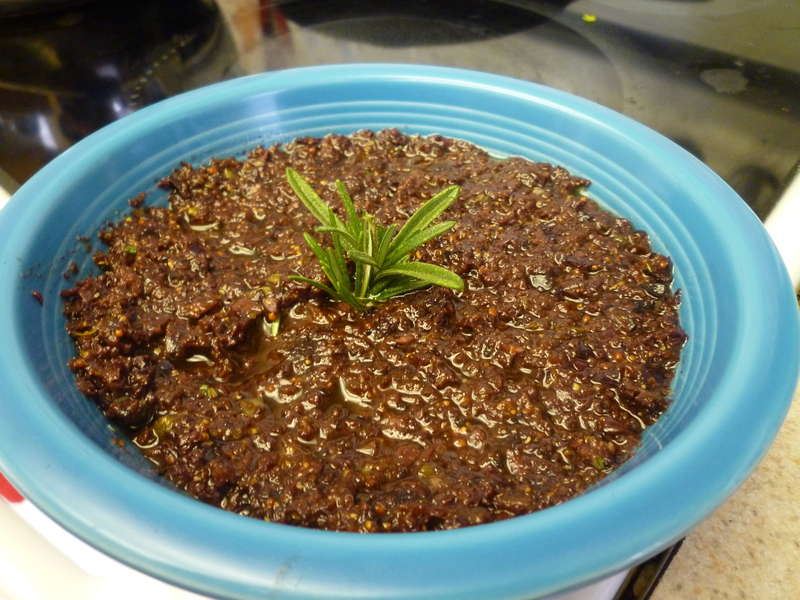 Remove the figs from the water with a slotted spoon and reserve the excess cooking liquid. 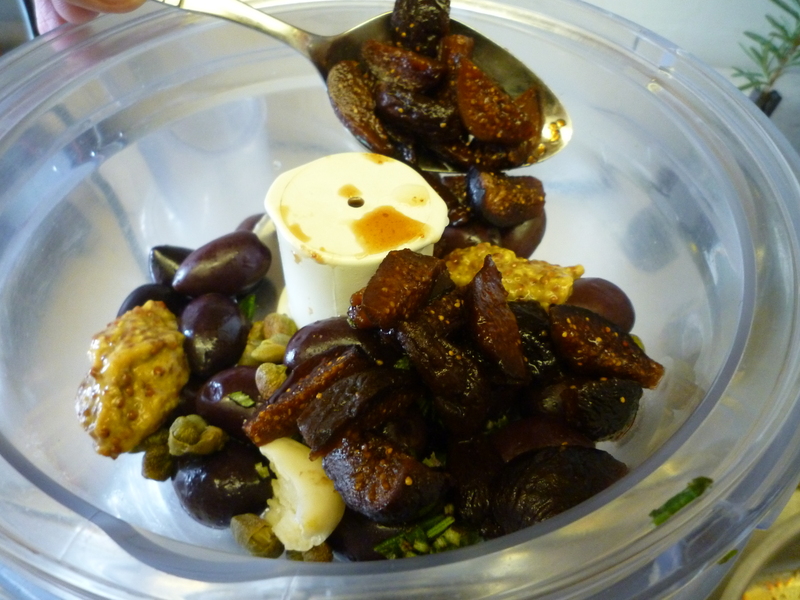 In a food processor, pulse together the olives, mustard, lemon juice, garlic, figs, capers, rosemary until a chunky paste forms. 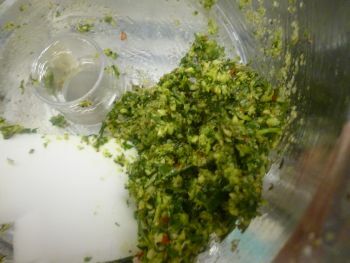 Add the olive oil until the mixture is spreadable. The reserved liquid from the figs can be used to thin the spread if needed. Season to taste. 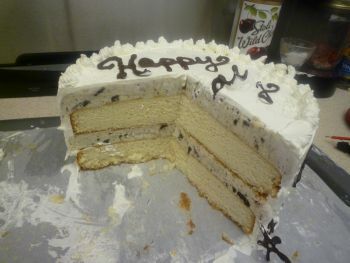 Refrigerate for at least one day prior to serving. 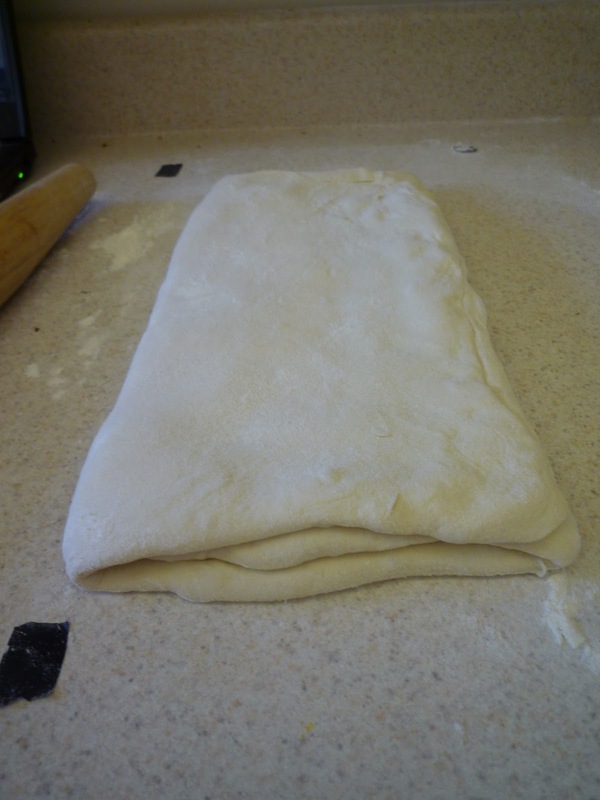 Covered, it will keep in the refrigerator for up to a week. Combine the tomatoes and olive oil and set aside for at least 30 minutes or until the tomatoes have softened slightly. 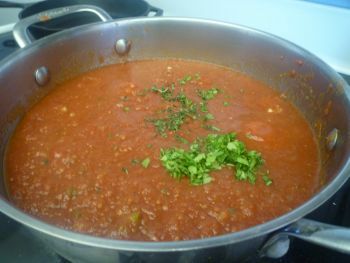 If you have trouble getting the tomatoes to soften, you can put the mixture over very low heat for 5 minutes. Split the heads of garlic in half horizontally and drizzle olive oil on each half. Put the garlic back together and bundle tightly in aluminum foil. Roast the garlic for 40-45 minutes or until soft and lightly caramelized. Set aside to cool. Squeeze the softened garlic out of the peel and mash in a bowl. 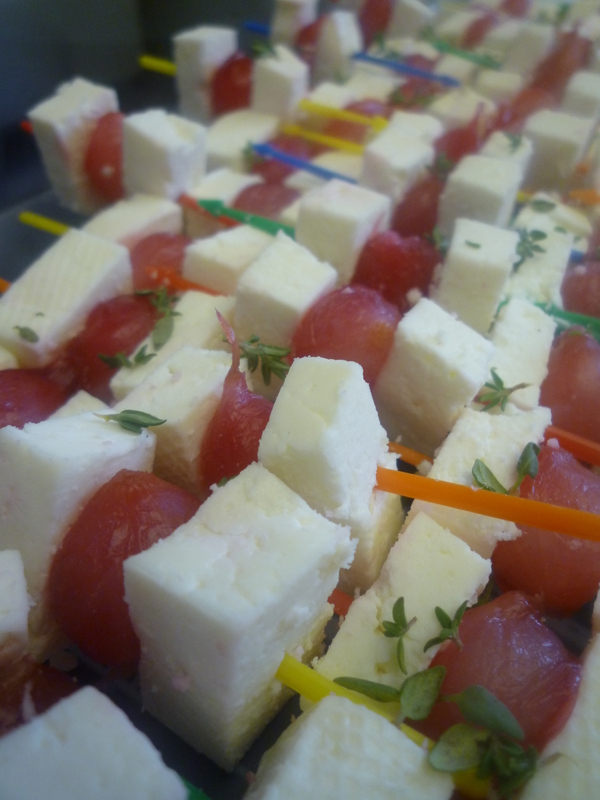 Drain and roughly chop the tomatoes, then mix them into the garlic with the lemon juice and thyme. If you like a chunky texture, stop and season here. 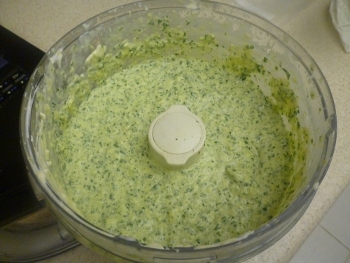 If you prefer more of a spreadable consistency, you can puree this in a food processor. Season to taste. Cover and store in the refrigerator for up to 2 weeks. …The second plate was full of cured pork tenderloin and parma ham accompanied by a few young cheeses and special condiments to brighten everything up. Everything here mixes and matches pretty well, but my favorite was a toast topped with the cured tenderloin and mustard fruit. 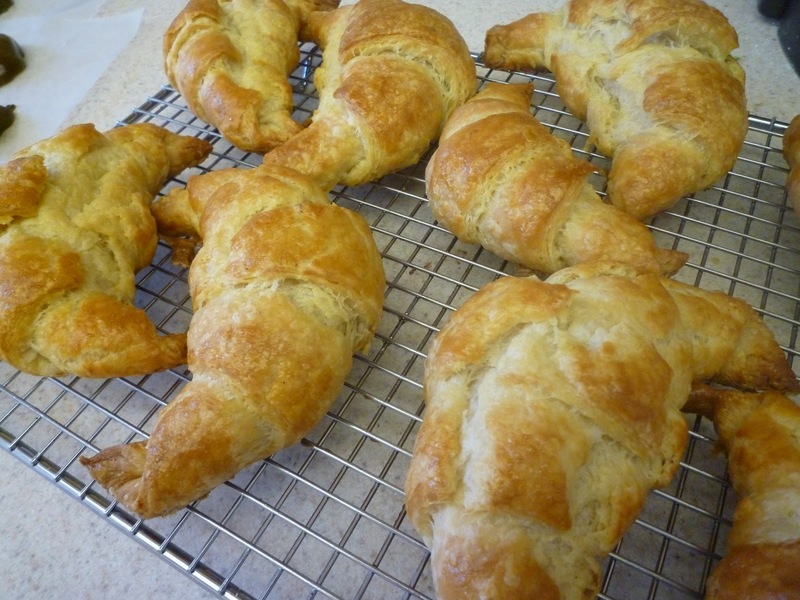 Salty, sweet, and a little tangy, yum! 4 lb. 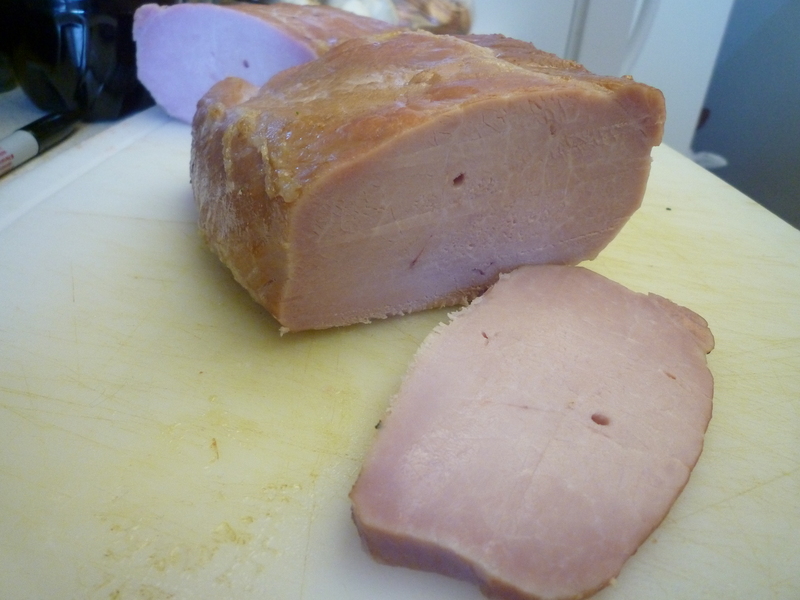 pork tenderloin, trimmed of fat and sinew. 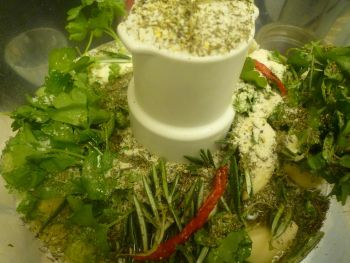 Combine the water, herbs, salt, curing salt and sugar in a pot and bring to a boil. Set aside and chill until cold in a container large enough to hold the tenderloin. 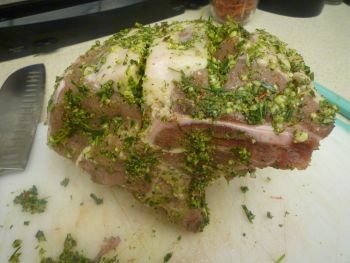 Add the pork to the container of brine and place a plate on top of it to keep it submerged. Allow this to sit in the refrigerator for 48 hours. 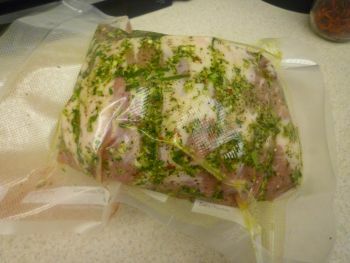 Remove the pork from the brine, rinse and pat dry. 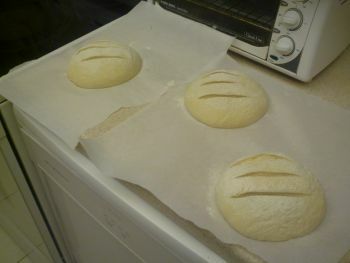 Set it on a wire rack over a baking sheet and refrigerate uncovered for 12 hours. 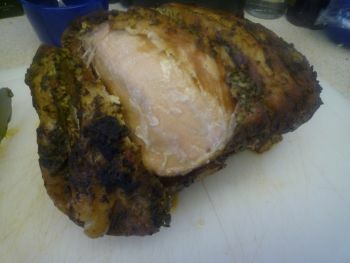 Roast the pork until it reaches an internal temperature of 150 degrees, rest, and then wrap and chill. Slice thin on the bias to serve. Follow the recipe found here for making homemade ricotta. 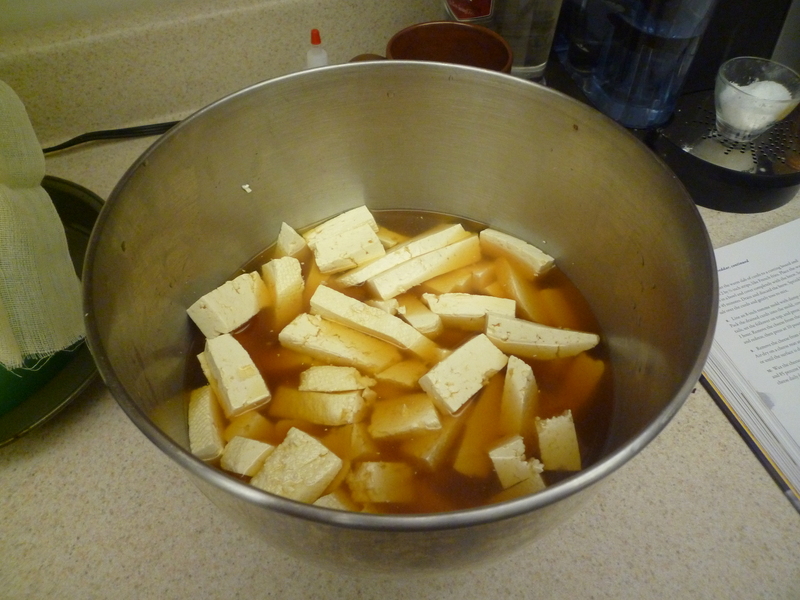 Once the curds have drained, add 1 tsp. ancho chile powder and mix thoroughly. Store covered in the refrigerator for up to a week. Follow the recipe found here for making homemade queso blanco. 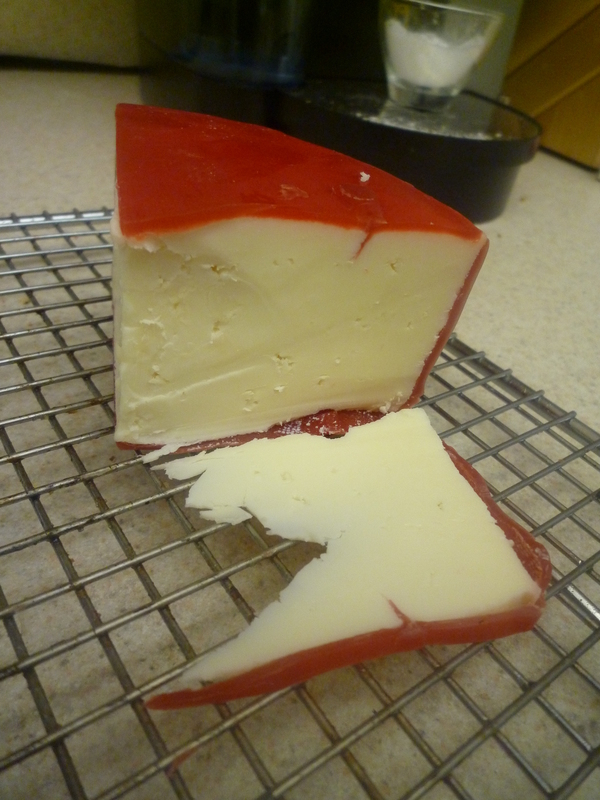 Prior to pressing the cheese, fold in 1/3 cup diced roasted piquillo peppers. Store well wrapped in the refrigerator for up to 2 weeks. Place the dried cherries and chopped pears in a clean, quart-sized mason jar and set aside. Cover and shake to mix. Combine the wine, sugar, vinegar and salt in a medium-sized saucepan and bring to a boil. 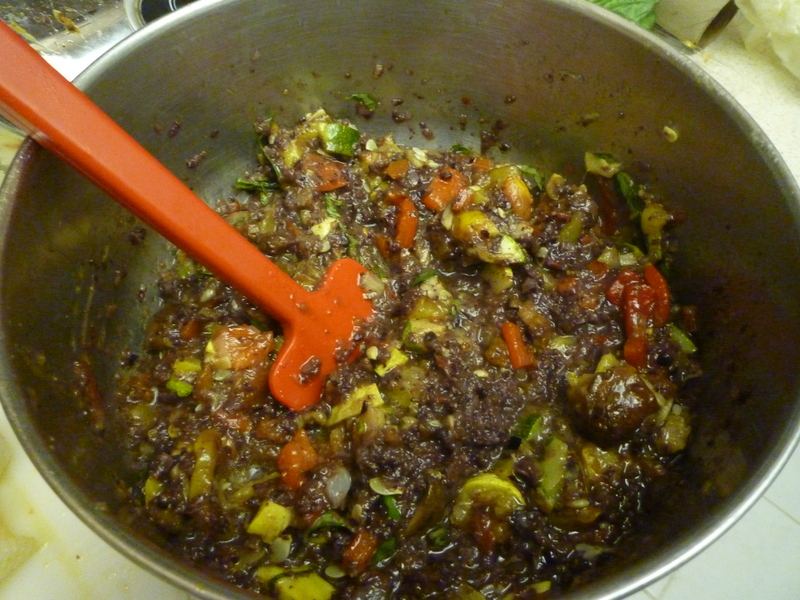 Stir in the mustard until thoroughly blended and then mix in the mustard seeds. Gently pour the hot liquid over the fruit in the jar, cover, and shake gently to distribute the liquid. It should generously cover the fruit. Store in the refrigerator for at least two days and up to one month. The longer it is stored, the more pronounced the flavors will become. The dried cherries will also plump up a little bit and they are delicious. 1 pound celery, peeled and sliced thin. 2 jalapeño peppers, cut into thin rings. 1 red onion, quartered and sliced thin. 1/4 cup flat leaf parsley, chopped. 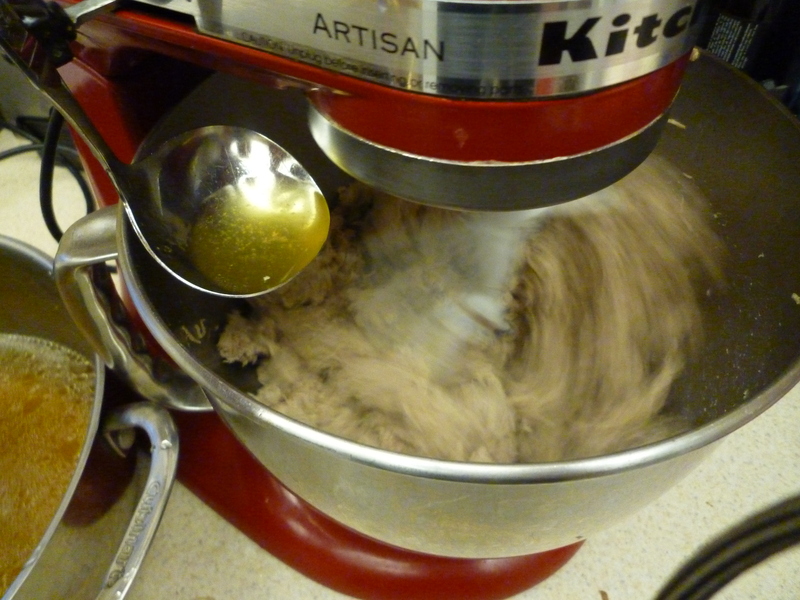 Combine all ingredients in a large mixing bowl and mix thoroughly. 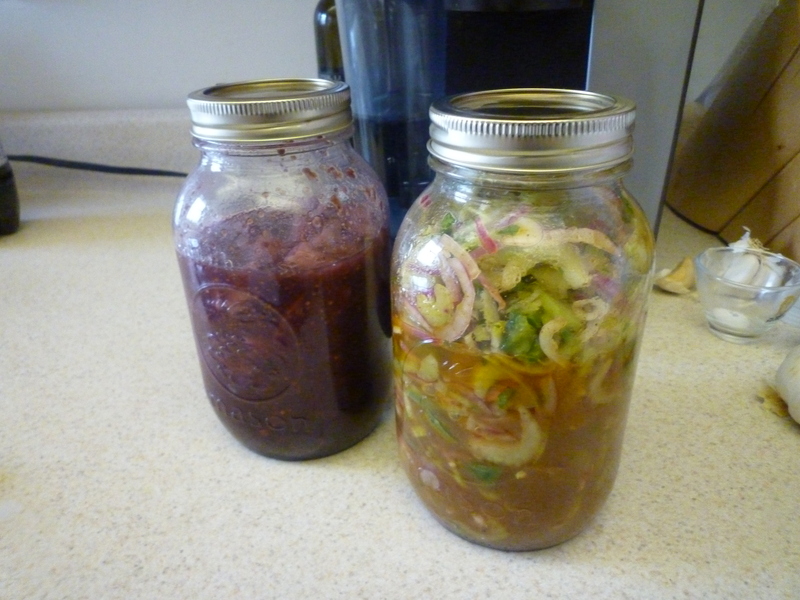 Pack into a 1 quart mason jar. Store in the refrigerator for up to a month, shaking gently every so often to redistribute the liquid. 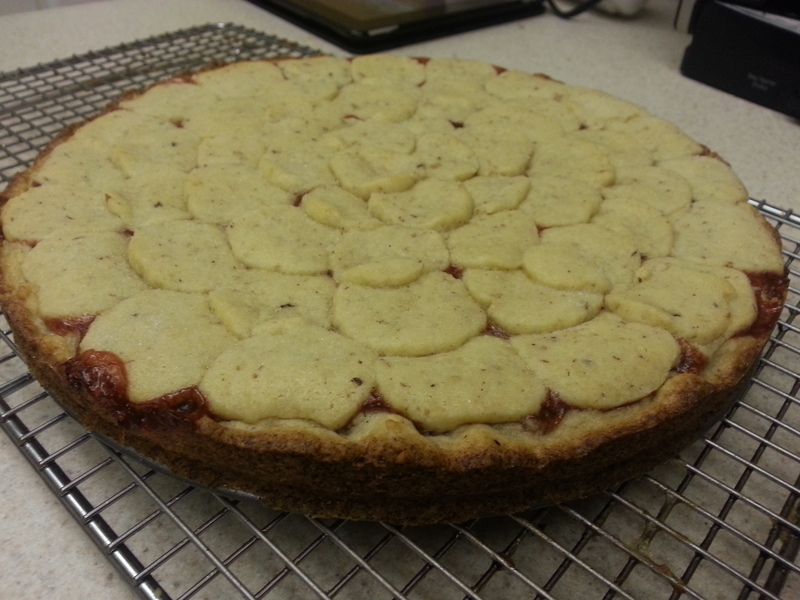 Follow the recipe found here for making a strawberry jam tart, but replace the cornmeal with ½ cup finely ground walnuts. Preheat the oven to 325o F.
Melt the 12 tbsp. 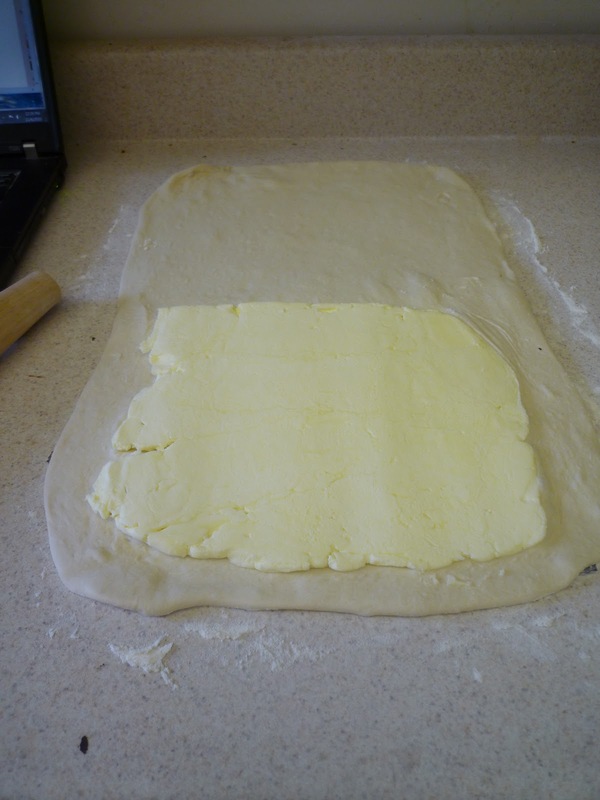 of butter in a medium-sized pot over medium-high heat and brown just a touch. 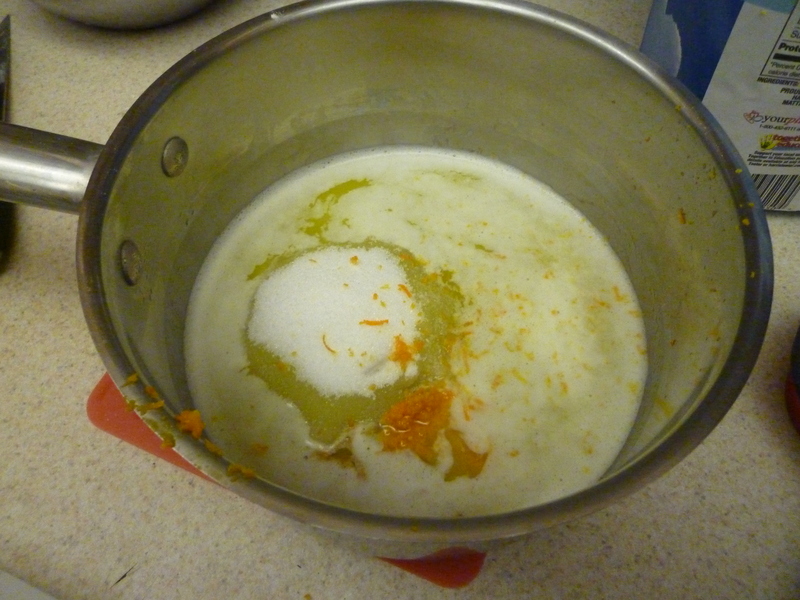 Remove the pot from the heat and stir in the sugar, vanilla, salt, and orange zest until the sugar is mostly dissolved. 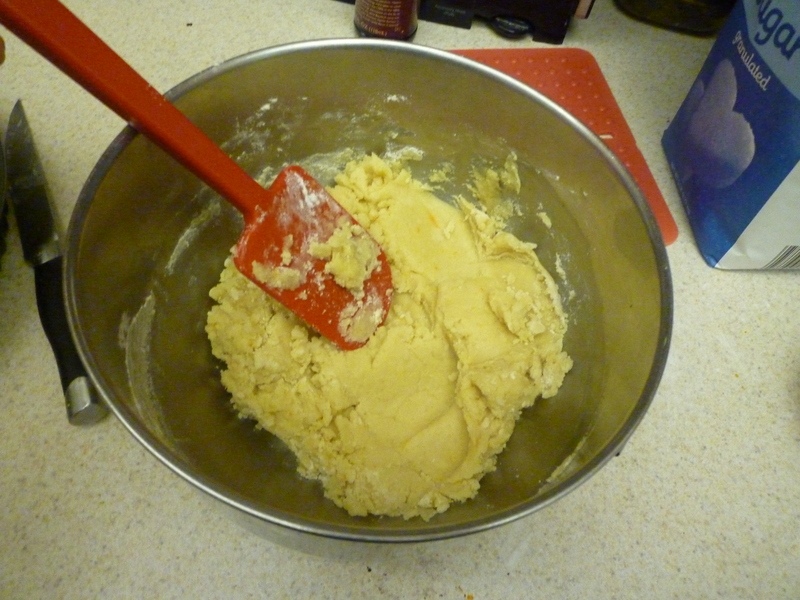 Put the flour in a large bowl and add the butter mixture. 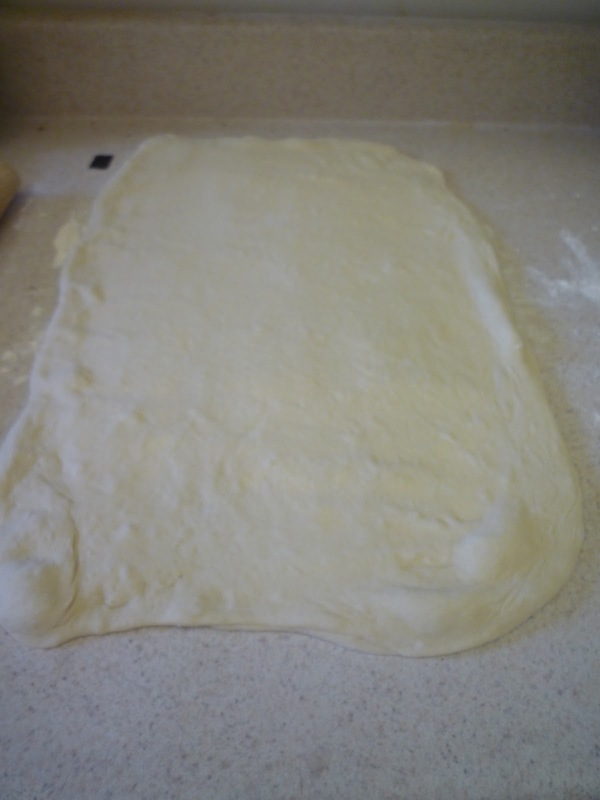 Mix until a soft dough forms. 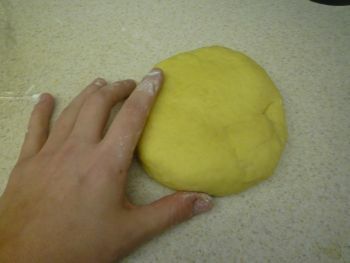 To form the crust, roll the dough into a ball and then press it into an ungreased 10 in. 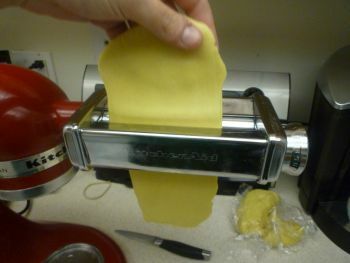 tart pan with a removable bottom using the heel of your hand. 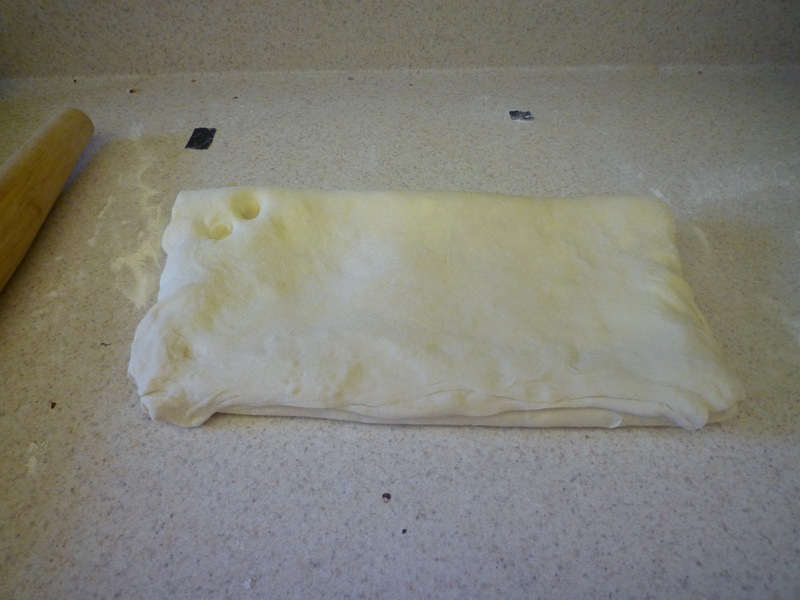 Push the crust approximately ½ in. up the sides of the pan. 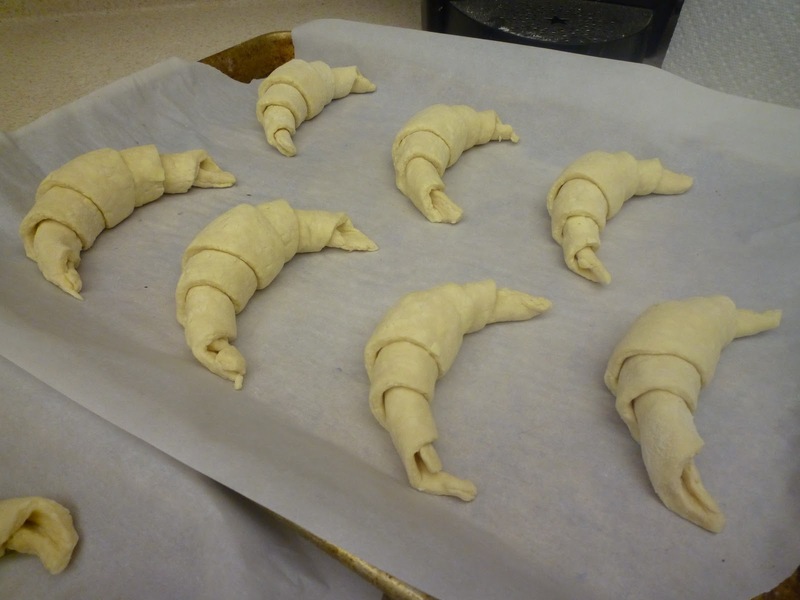 Freeze the crust for 15 minutes and then bake it for 25 minutes or until the edges are just becoming golden. Set aside on a wire rack to cool slightly. 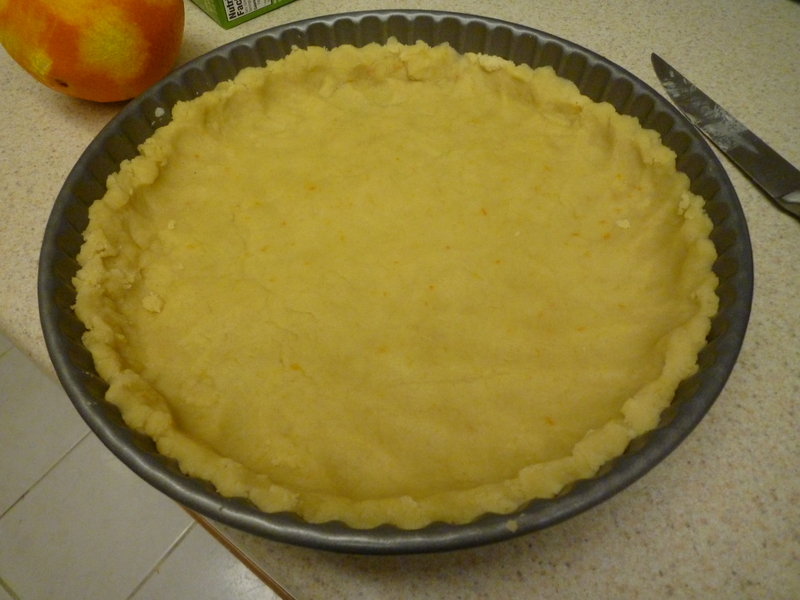 Unlike many tart recipes, the crust does not have to be completely cool before the filling is added. 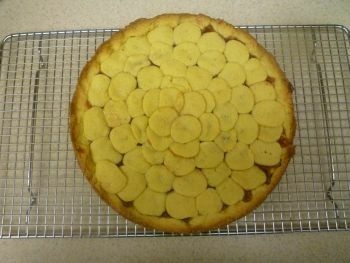 It can be warm, but you should be able to touch the sides of the pan. 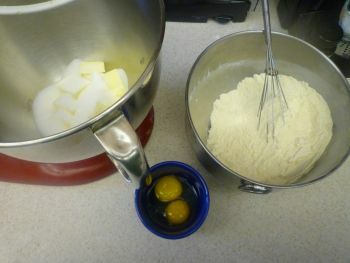 Whisk the cornstarch with ¼ cup of the heavy cream. Make sure the cream is cold when you do this. 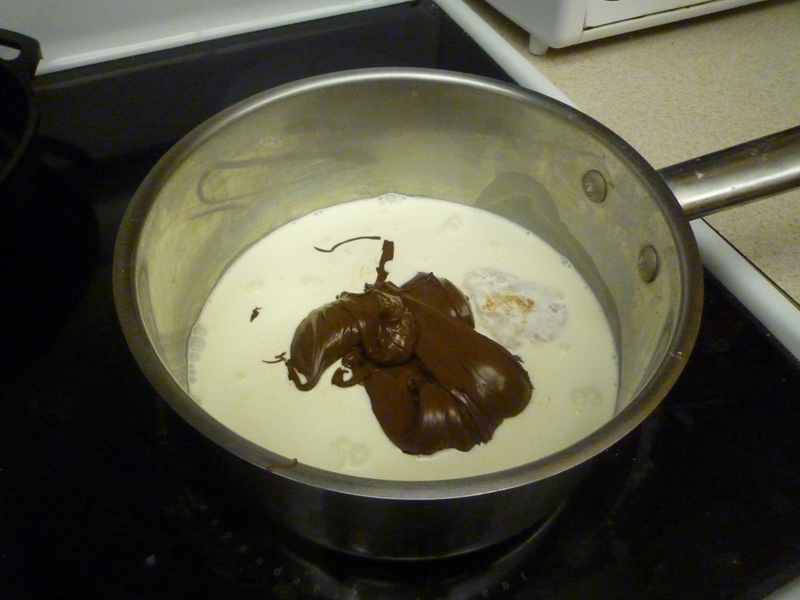 Combine the remaining 1 ¾ cups cream, chocolate-hazelnut spread, vanilla, and salt in a saucepan over medium heat. 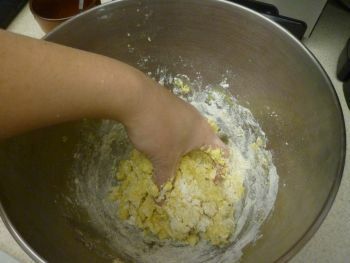 Add the cornstarch mixture and mix thoroughly. 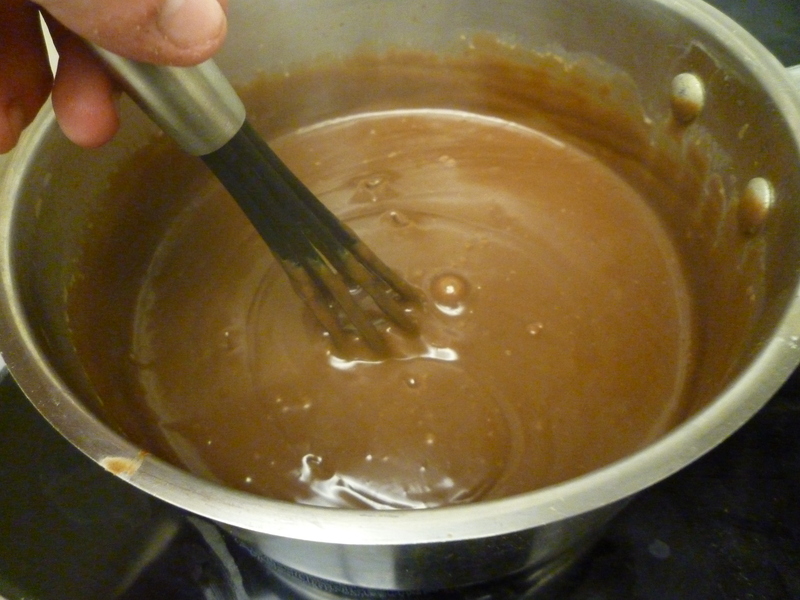 Whisking constantly, bring the filling to a boil and boil for one minute or until it thickens considerably. 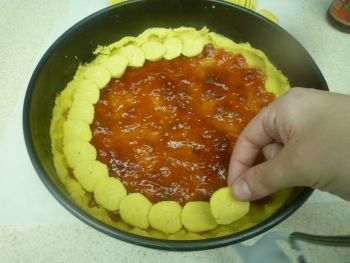 Pour the filling into the tart shell. 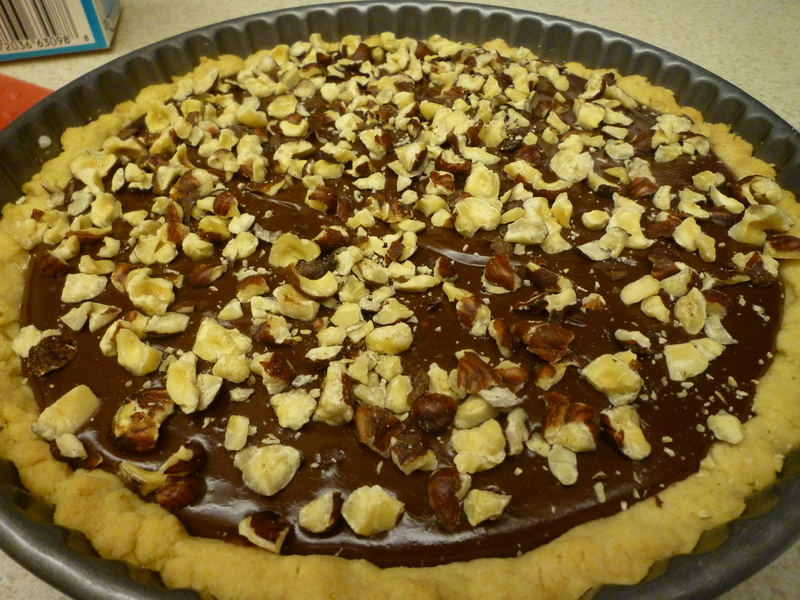 Top with chopped hazelnuts and refrigerate until set for at least two hours before serving. Chilling it overnight is ideal for the very easiest cutting serving. 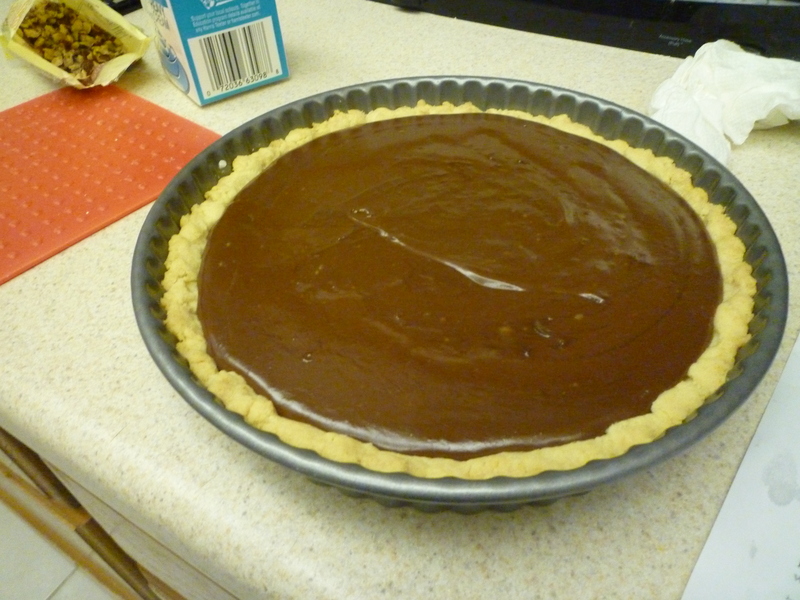 Covered, the tart will keep for 2-3 days in the refrigerator. 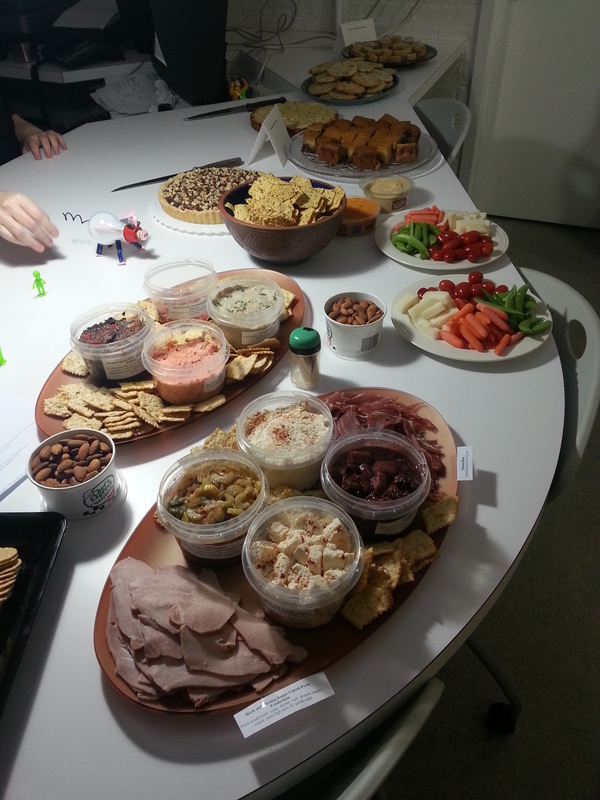 Here’s the whole spread waiting to be enjoyed in our photography department. 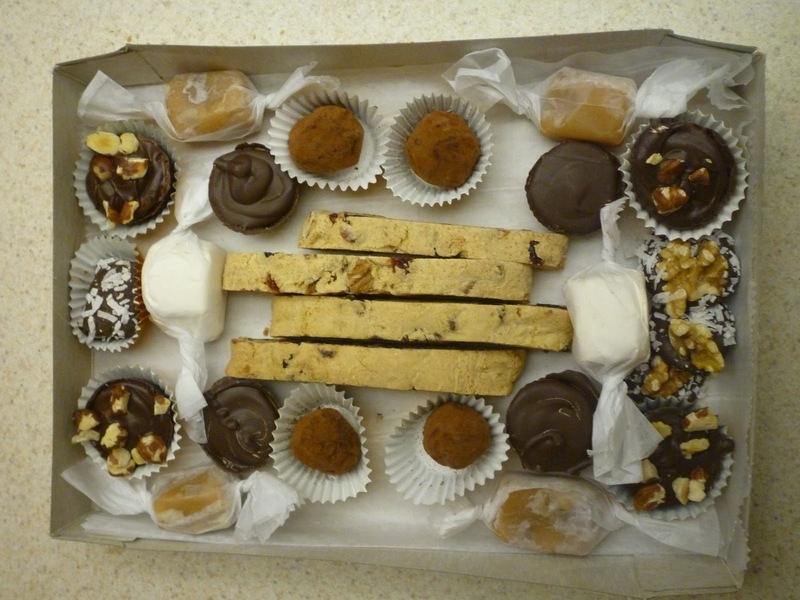 As you can see, I was not the only one contributing delicious goodies. We have a very talented staff, what can I say? Well, I hope that this post will sustain you through December, since I’m fairly sure that I’ll go MIA during Christmas baking season. 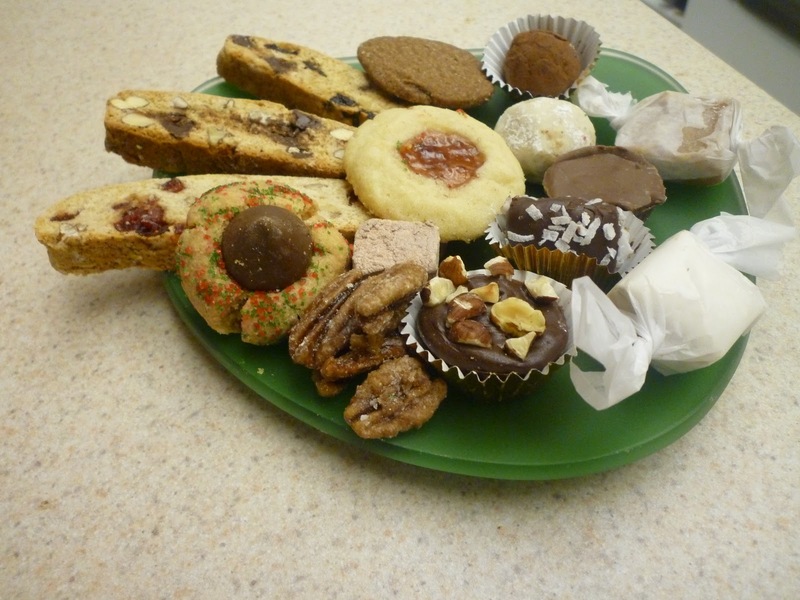 (Dare I try to break the record of 114 dozen treats?) All I’ll say is that a certain grandma gave me a pizzelle iron at my bridal shower and that it’s been calling to me from the cupboard ever since I deemed it acceptable to begin thinking about Christmas. Warmest holiday wishes to all of you. Remember that what you always have is what you carry in your heart and head, so make it something fun! Very creamy, rich, and soft. 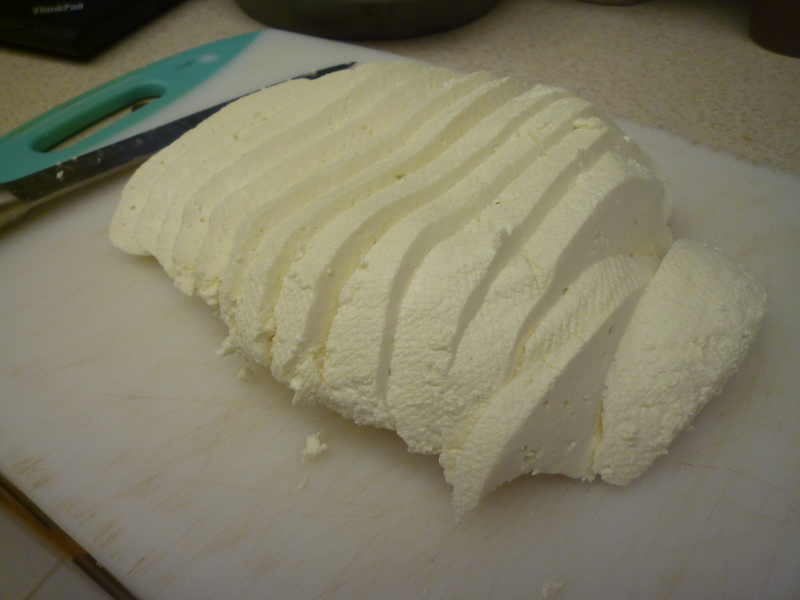 Such an amazing contrast to the hard, squeaky mass of curds that came out of the cheese press. It really turned out well. If I make another, I want to try and let it age for a full year! October has definitely arrived. Fortunately, that just means we’ve moved into football/beer season. 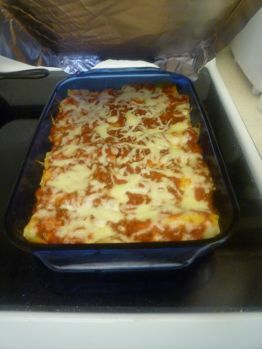 And comfort food season! Fall food is my kind of food. 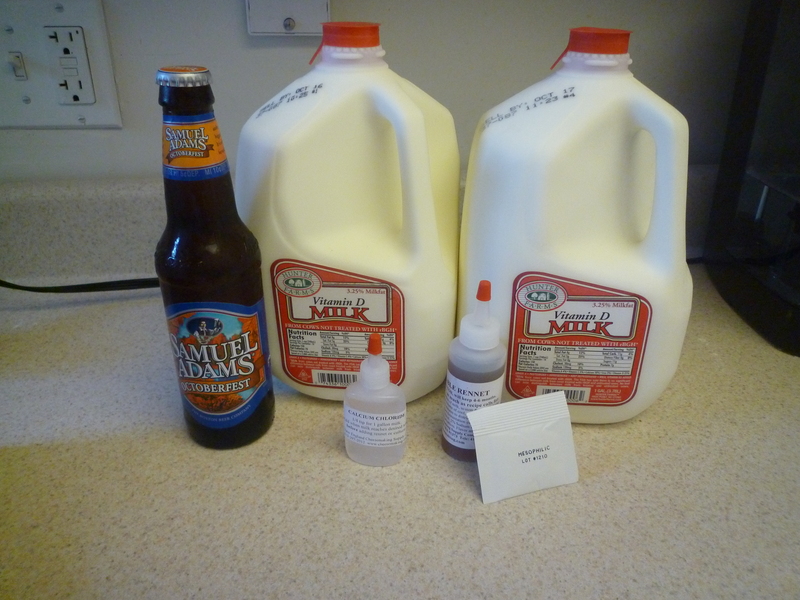 This weekend I decided it was finally time to combine cheese making and beer. Ever put beer in a mornay sauce? Do it and tell me if you ever make macaroni and cheese without it again. Back in March, I made a wheel of Farmhouse Cheddar that came out pretty darn good. Good, but not great. 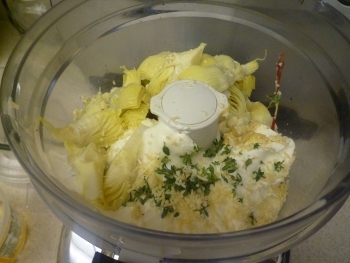 For the last few months, I’ve been having some…issues…with cheese making. My wheel of gouda dried out because the humidity in my cheese fridge kept dropping too low. I pressed a second one over the weekend, but it will be waxed this time since my cheese making cohorts have advised me that the coating will protect it in a slightly less-than-ideal aging environment. Part of the reason it dried out so easily was due to equipment problem number 2: My pot. Because my largest pot (that fit a burner on my electric range) was still too small to fit two gallons of milk, I was halving recipes and making smaller wheels of cheese. I might have gotten away with the thicker rind on a larger wheel of cheese, but on the small ones it just meant the whole thing turned into a little brick. 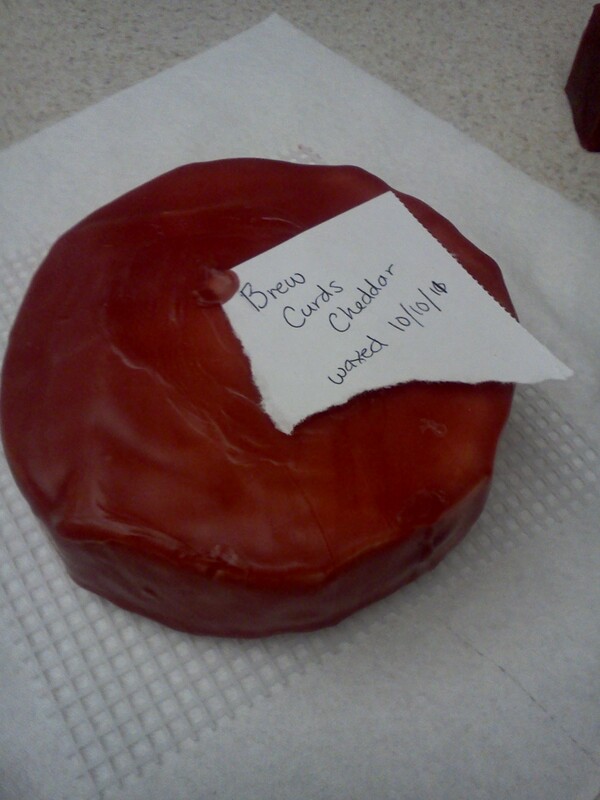 Just in time for Oktoberfest, it’s a cheddar wherein the curds are soaked in beer before pressing. Let’s do it. 1 bottle stout or ale of your choice , at room temperature. Pick something that you enjoy drinking! 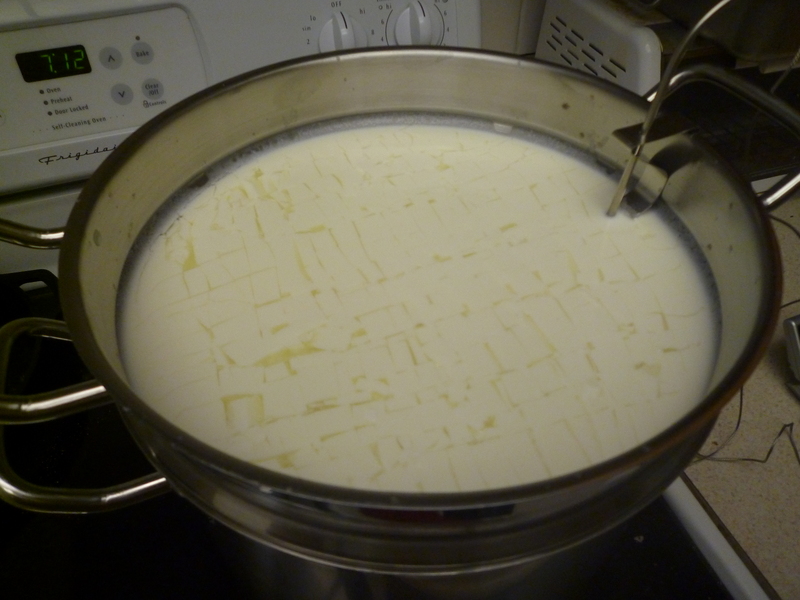 Slowly heat the milk in a pot set over a water bath to 88 degrees F over a period of about 15 minutes. Turn off the heat. Sprinkle the starter into the milk and allow it to rehydrate for five minutes before stirring it into the milk thoroughly with a whisk using an up and down motion. Maintaining the 88 degree temperature, cover the pot and allow the milk to ripen for 45 minutes. 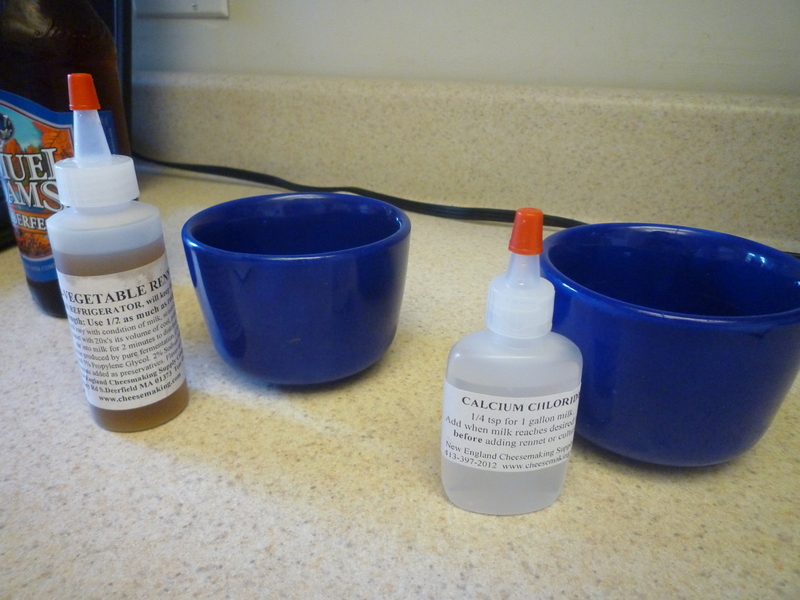 Add the calcium chloride and mix for one minute, then add the rennet and mix for one minute. Once again, maintaining the 88 degree temperature, cover the pot and allow the mixture to set for 30-45 minutes or until the curd gives a clean break when cut with a knife. 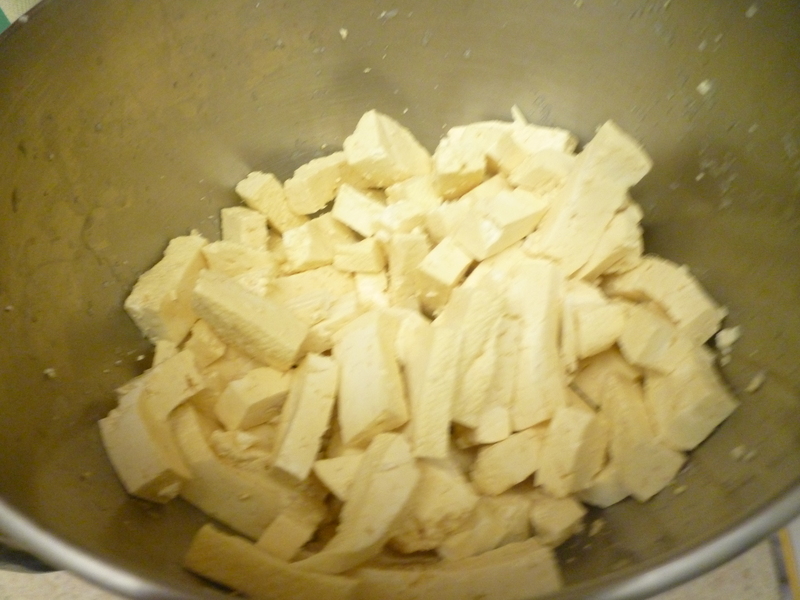 Cut the curd into ½ in. cubes and let them sit for 5 minutes. 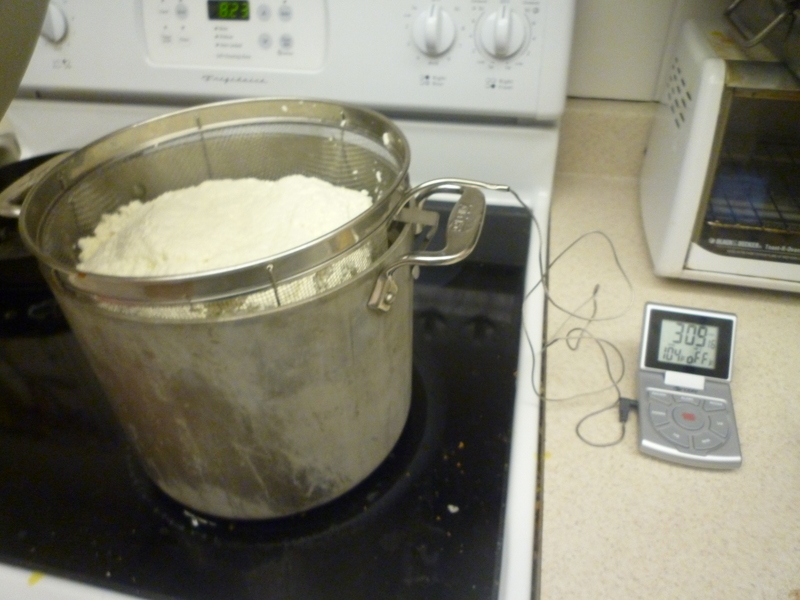 Over low heat, slowly bring the temperature of the curds to 102 degrees F over a period of about 40 minutes. 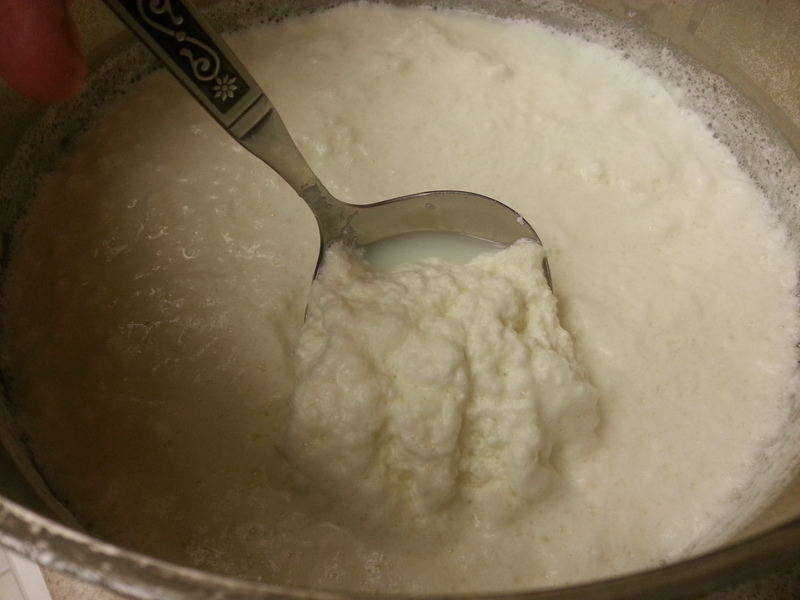 Stir continuously throughout heating to prevent the curds from matting together. 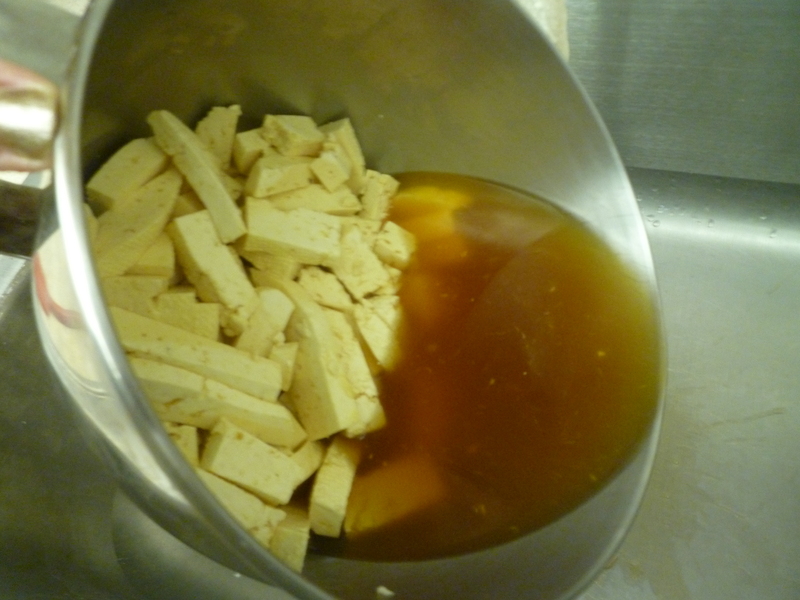 The curds will release a lot of whey and shrink to the size of peanuts. When 102 degrees F is reached, turn off the heat and rest for 30 minutes while maintaining the temperature. 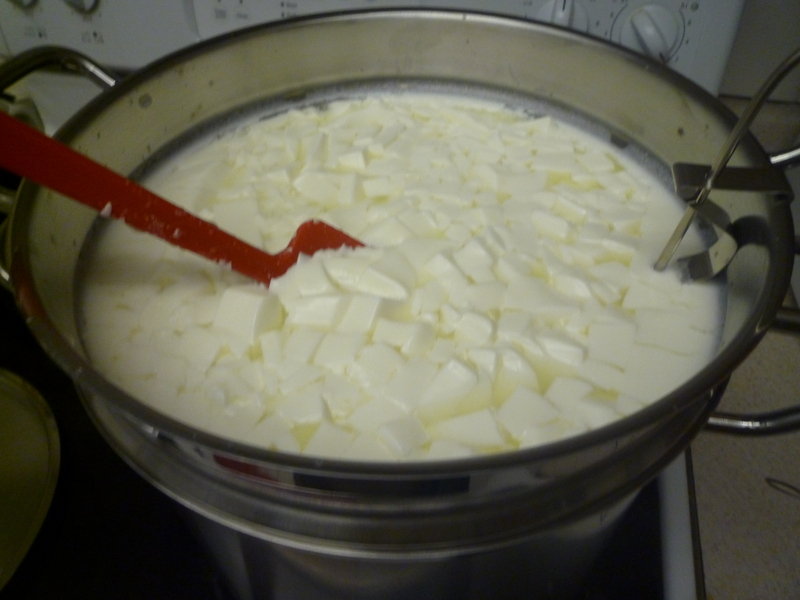 The curds will sink to the bottom of the pot. Place a strainer lined with a double layer of cheesecloth over a pot or bucket large enough to catch the whey. 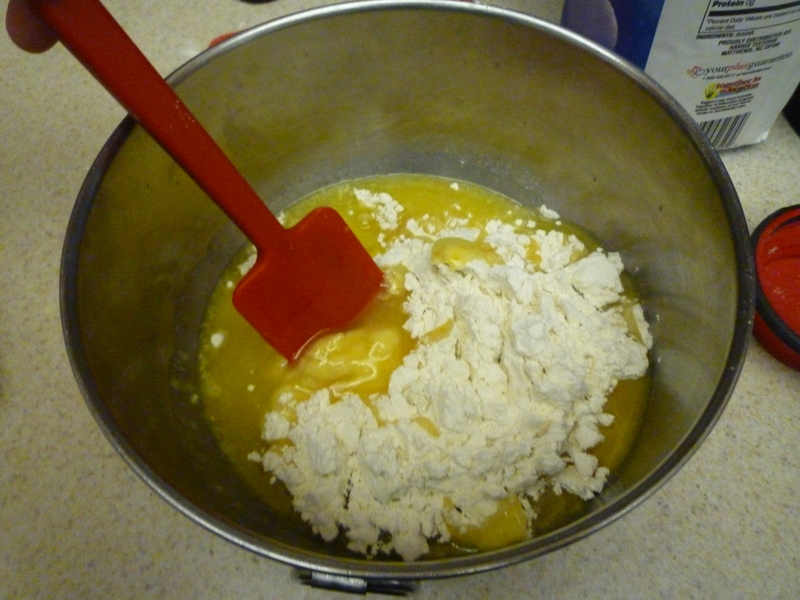 Gently pour off the whey into the bucket and ladle the curds into the strainer. Let the curds drain for 10 minutes. Return 1/3 of the reserved whey to the pot on the stove and reheat it to 102 degrees. 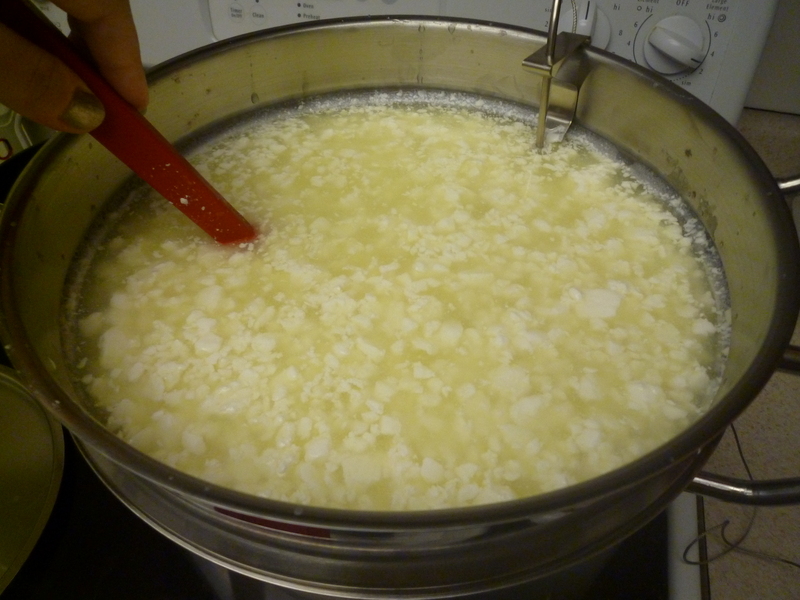 Place the curds in a colander, set the colander over the pot of whey and cover. Maintaining the 102 degree temperature of the whey, wait 10 minutes and the curds in the colander will have melted into a slab. 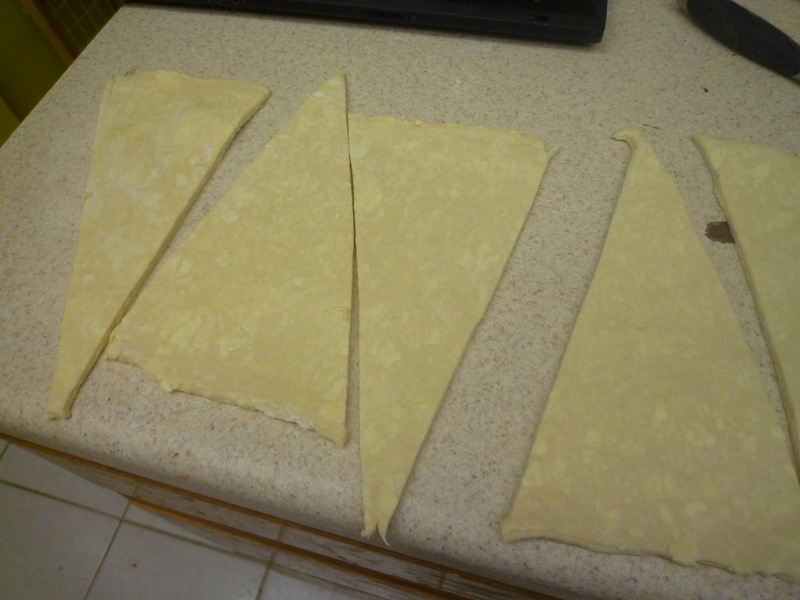 Flip the slab over and repeat this process every 15 minutes for one hour. After one hour, the slab of curds will look shiny and white. 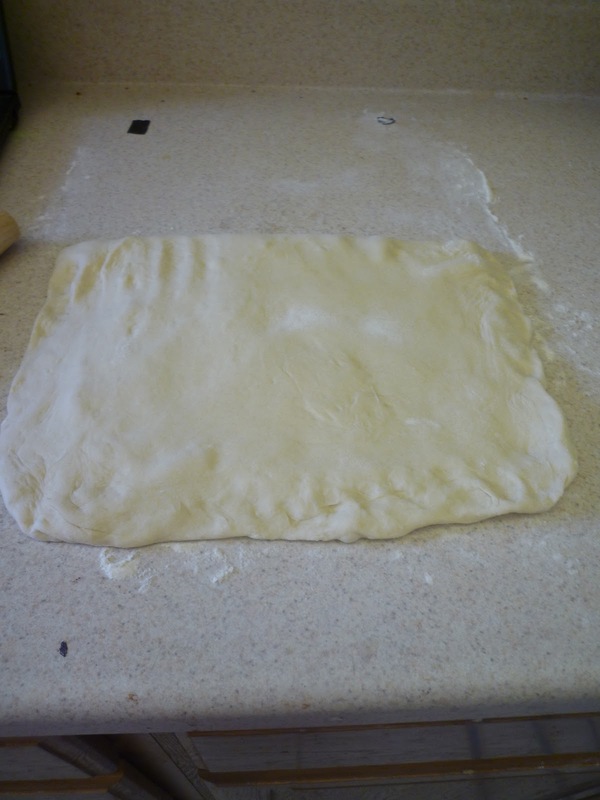 Transfer the slab to a cutting board and cut into ½ in. by 2 in. strips. Place the strips in a bowl and cover completely with the brew of your choice. Soak for 45 minutes. Drain and discard the brew. Sprinkle the salt over the strips and toss to combine. Line an 8 in. 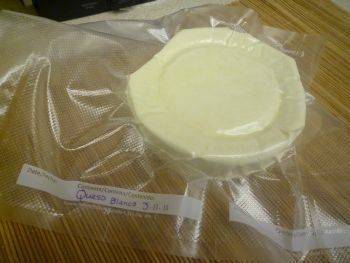 mold with damp cheesecloth and pack the curds into it. (See: Building a cheese press and Using a cheese press). 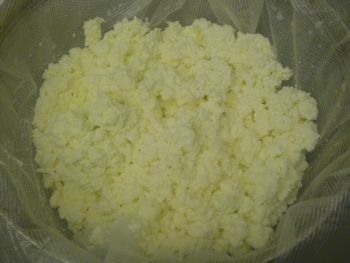 Fold over the cheesecloth and press the curds at 8 lbs. of pressure for one hour. 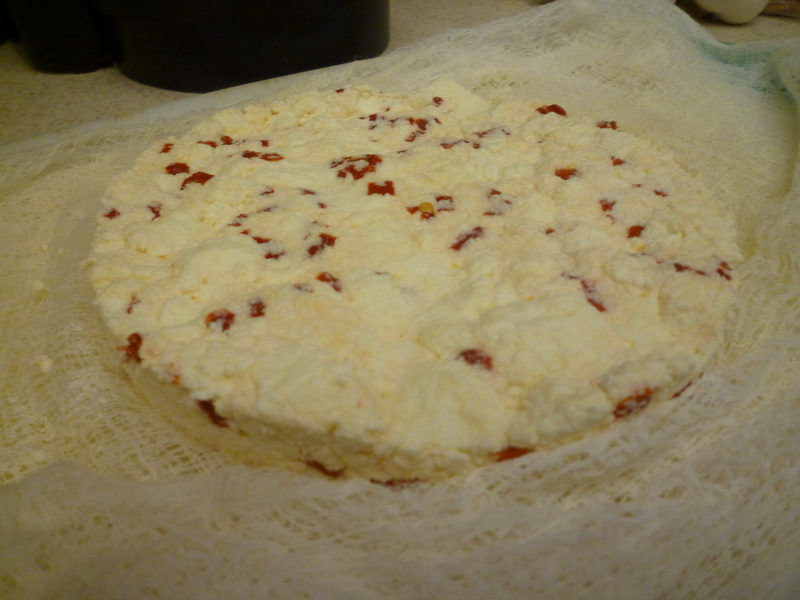 Remove the cheese from the press, flip it over, redress in the cheesecloth and press at 10 lbs. of pressure for 12 hours. 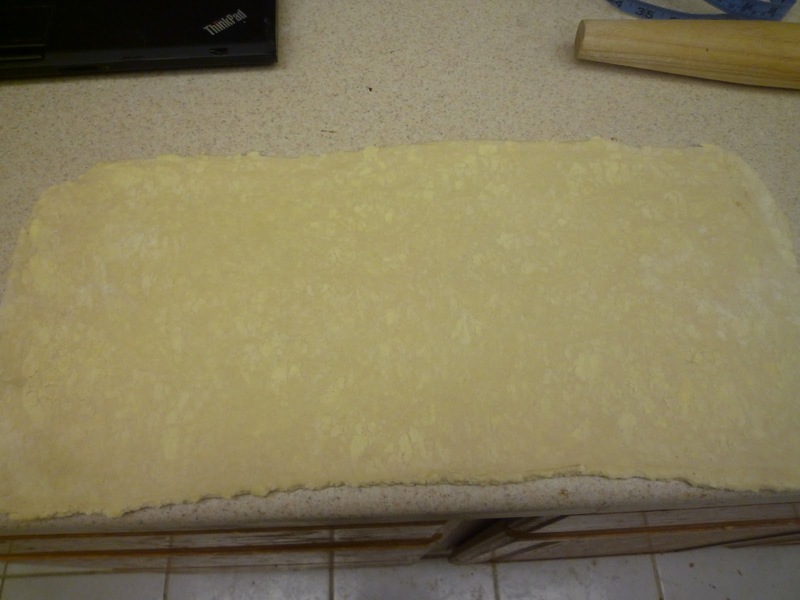 Remove the cheese from the mold and unwrap the cheesecloth. 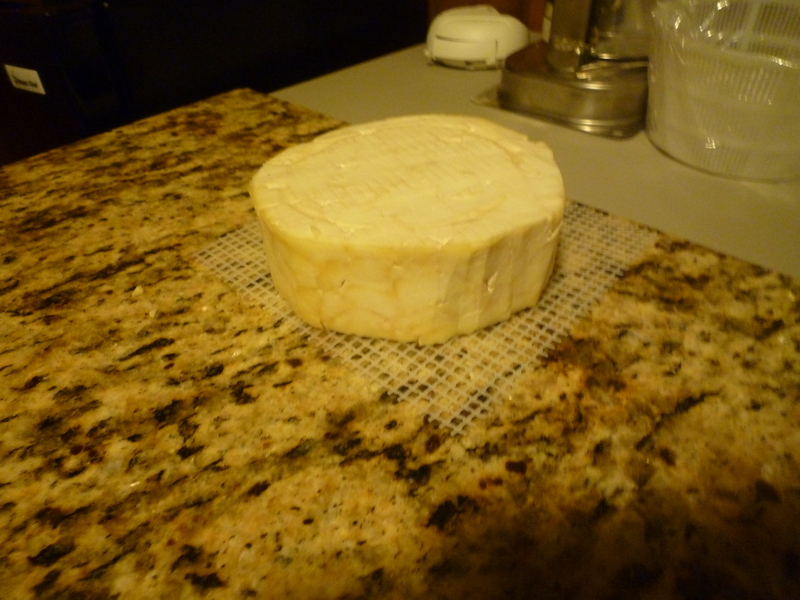 Pat the cheese dry and set on a rack to air dry 1-2 days at room temperature or until the surface is dry to the touch. Coat with wax (See this post for how to wax cheese), and then age at 50-55 degrees F and (ideally) 85% humidity for 4-6 weeks. Flip the wheel of cheese daily to encourage even ripening. See you in six weeks (the cheese, not you my dear readers)! This is a really great project for a rainy weekend when you just don’t feel like going outside and would rather huddle in the warmth of a cozy kitchen. Chart out the time you’ll need on paper and you’ll know exactly when certain steps will be ready. Breaking the process down that way really helps first-time cheese makers who might feel a little overwhelmed. As always, feel free to comment below with any questions you might have. I am more than happy to help others who want to take a stab at making their very own cheese. Happy New Year from Neen’s Notes! I took a hiatus from blogging in December for a multitude of reasons. The first was to focus on completing my final projects for graduate school. You may recall such posts where I defeated the Great Perl Dragon and other beasts along the way, but this was (to put it in super-nerd terms) the true Boss Battle. And yes, I won the game of graduate school. I’m now a bonafide library and information scientist. And then came the baking and candy making. Once the final papers were off to my instructors, I suddenly had…time. It’s not as though I never had free time while I was in school, but I always had a lingering, “I really should be working on (blank)” feeling whenever I tried to take some down time. 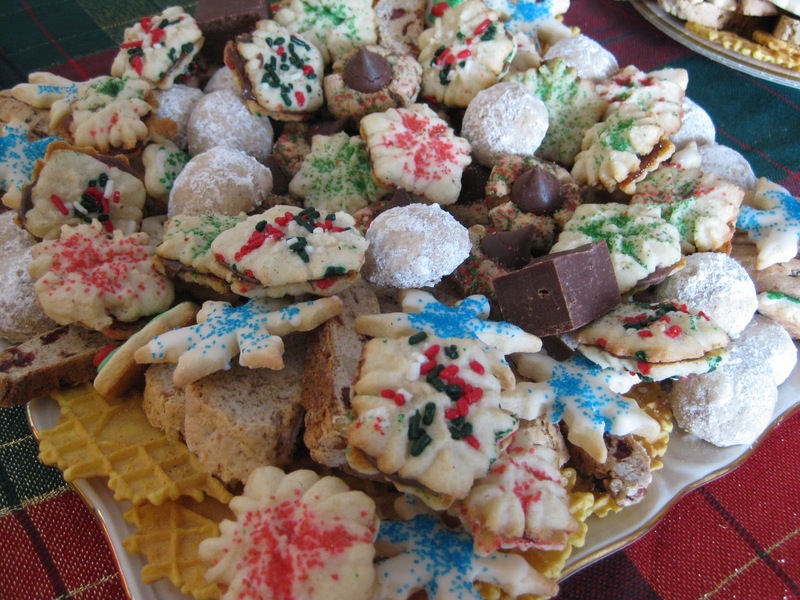 Last December, when I was only a little more than half-way through school I made 65 dozen cookies for friends and family. I did not anticipate ever coming close to breaking that record. After all, I only have two cookie sheets and two 9×13 in. pans. Armed with my favorite recipes from last year and a brand new confectionery book, I warned my family not to bake and that I’d bring more than enough home for Christmas. I’m not sure they anticipated quite how excited I was to be back in the kitchen. Total? 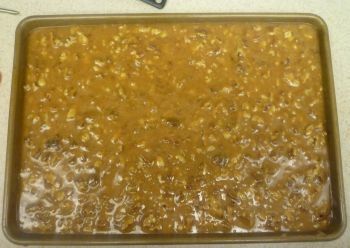 Not counting the candied nuts, 114 dozen. I should go into business! 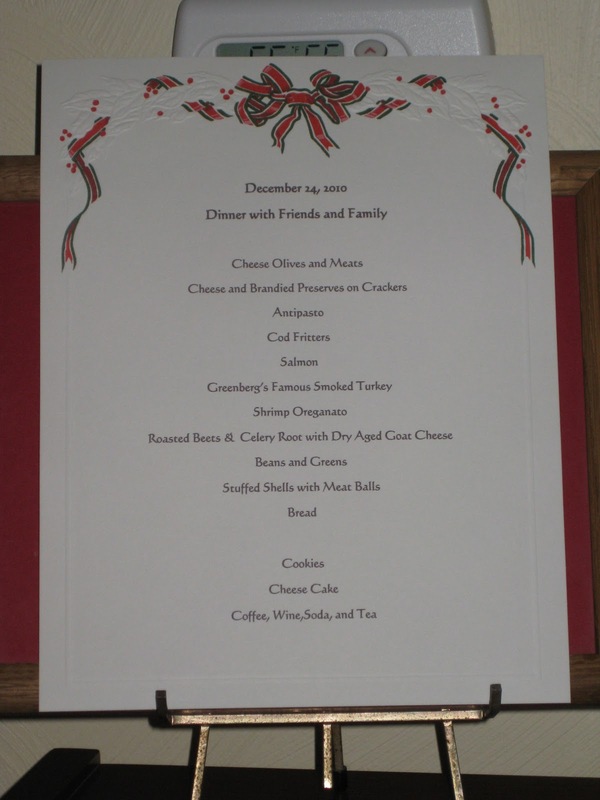 If you have a request for any of the recipes above, let me know. There may be photo-tutorials for some of them in the coming weeks. Candy is so temperamental that it can be hard to get pictures of the process, but I’m getting better at setting the timer/one-handed photography. My final reason for a blogging hiatus? Pittsburgh, of course! I can’t believe that I somehow didn’t write about the fact that (back in October) Joe got us tickets to the Steelers’ last home game of the season as an anniversary gift. The game was 2 days before Christmas and so we decided to spend the first week of our holiday up in PA.
Joe has taken me to a few Steelers games when they’ve played down here at Fedex Field, but I had never been to a home game at Heinz Field. 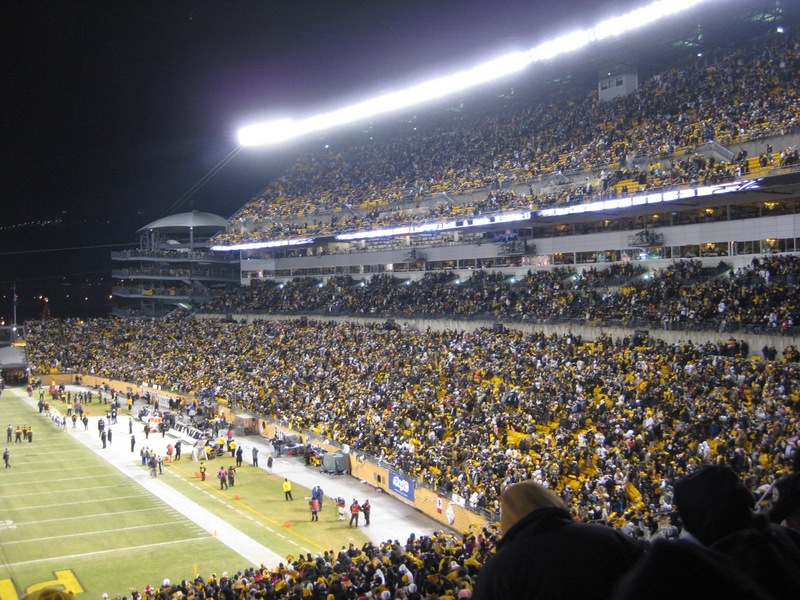 In fact, the only home game I had ever gone to was a game at Three Rivers Stadium when I was…12ish? Needless to say, my anticipation was building for a very long time. Thursday, December 23, 2010 I watched the Pittsburgh Steelers beat the Carolina Panthers 27-3 from Section 223, Row K, and it was incredible. 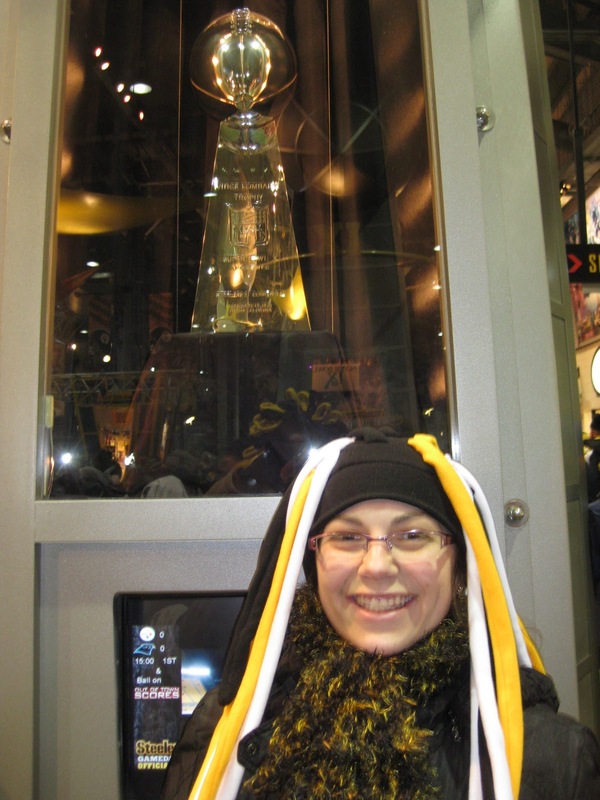 My favorite part of the stadium was the Great Hall, where memorabilia (including all of the Lombardi trophies!) from Steelers and Pitt Panther stand-outs are on display for all fans to see. 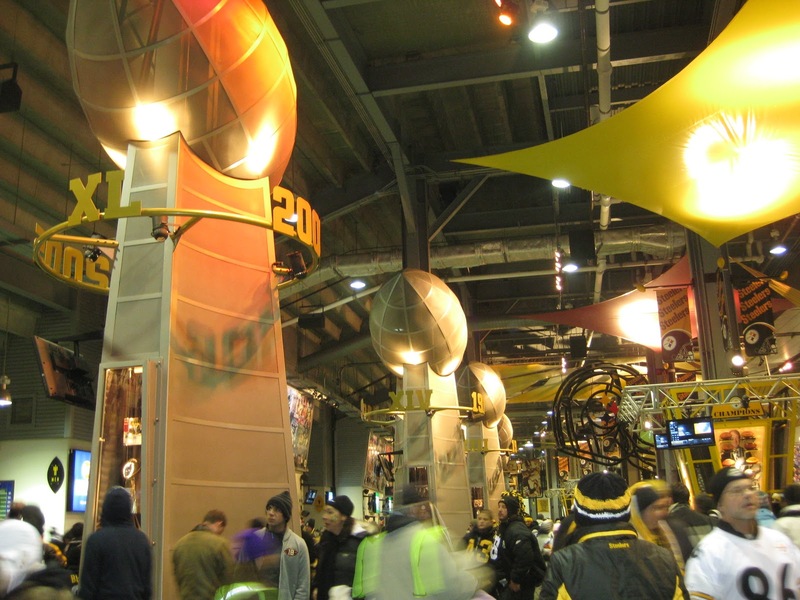 A live band, members dressed in black and gold and donning Polamalu wigs, blasted rock music to get the crowd milling around excited and ready to go. Fans wore jerseys from every era emblazoned with names like Lambert, Greene, Harris, Bettis, Stallworth, Bleier, and Swann. Of course, current players were heavily represented as well, and even some…interesting throwbacks like Kordell Stewart. I did not, however, witness any Neil O’Donnell jerseys and do not believe I ever will. I don’t think I stopped smiling the entire evening. 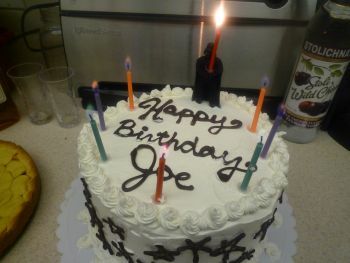 Thank you again, Joe, for making yet another one of my dreams come true! I hope your holiday held wonderful memories as well. My hope for this year is that I may continue learning how to have more compassion for both others and myself, to remove the ego and respect what my body and mind can do on each day that I am alive, and to live with a sense of respect for all that this amazing planet provides each day.